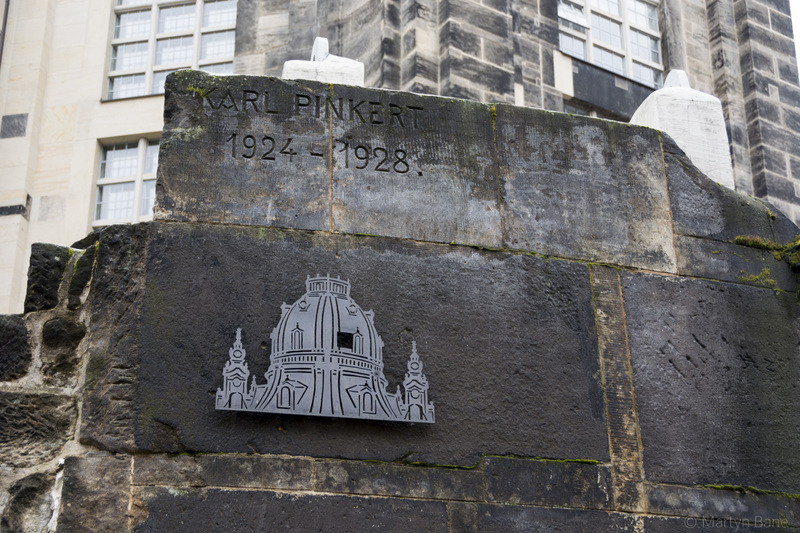 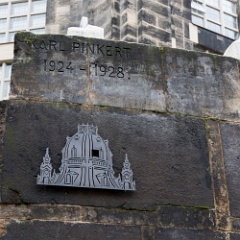 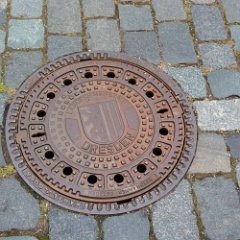 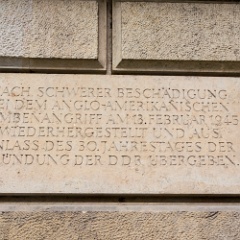 1 Memorial to Karl Pinkert who catalogued many of the grave stones at the Frauenkirche prior to its destruction in WWII. 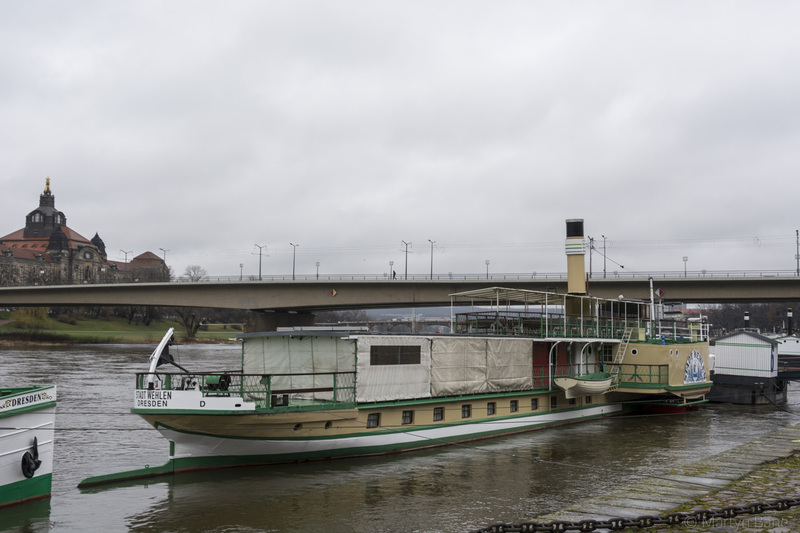 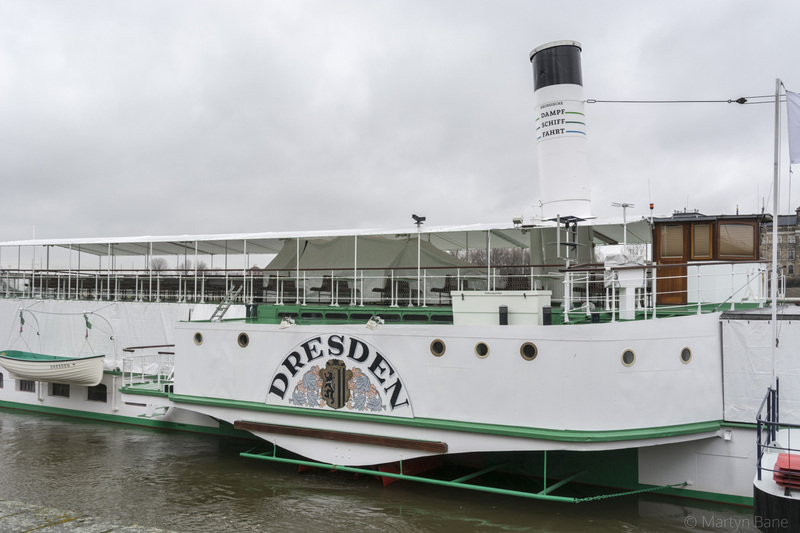 2 Dresden paddle steamer, waiting for nicer weather. 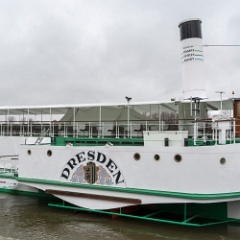 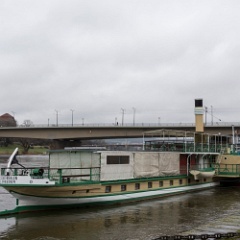 3 The Elbe paddle steamer "Dresden". 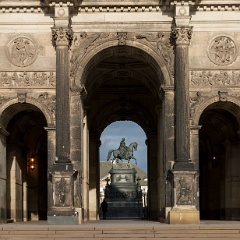 4 The magnificent Procession of Princes. 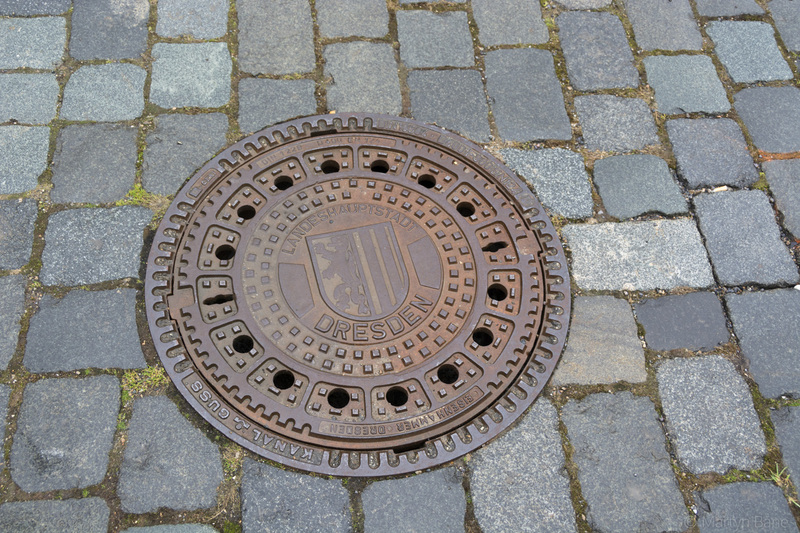 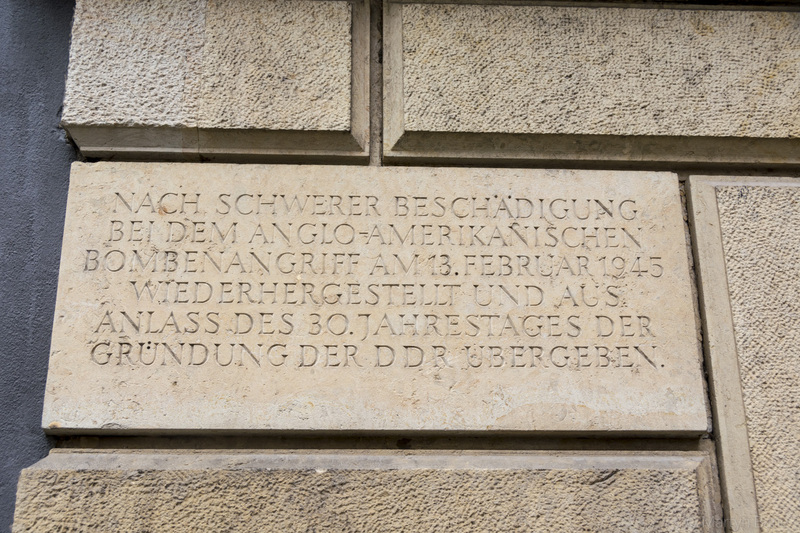 5 A stone at the Procession of Princes marking the bombing of Dresden, the reconstruction and the 30th anniversary of the formation of the DDR. 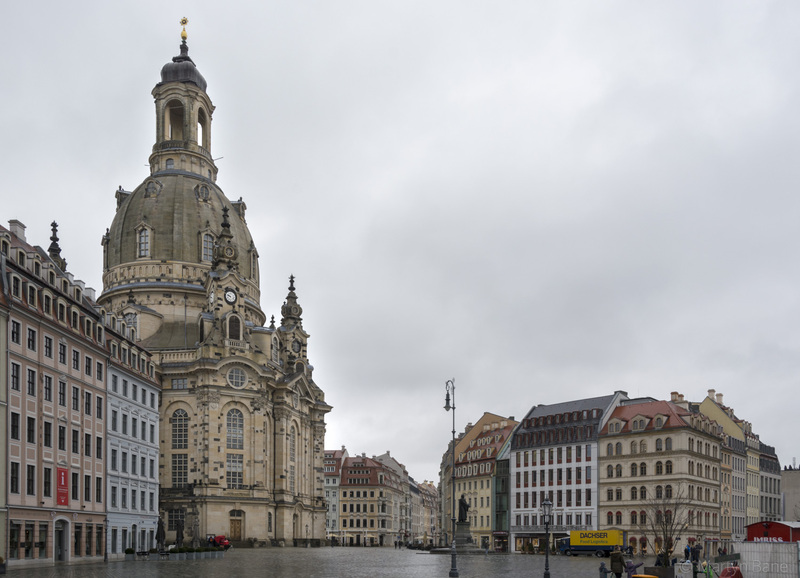 6 The Frauenkirche is prominent on the Neumarkt. 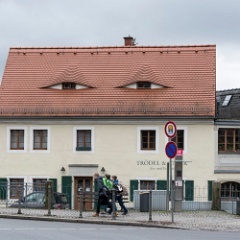 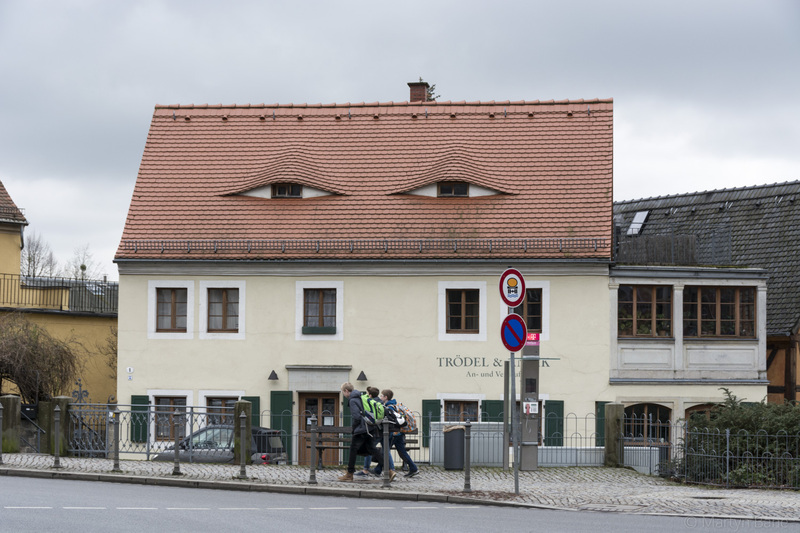 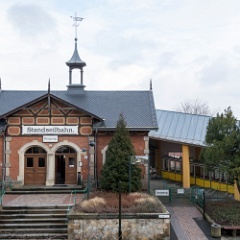 8 This building houses the excellent Transport Museum. 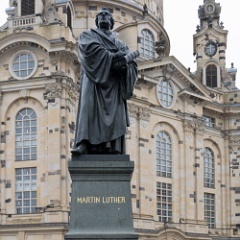 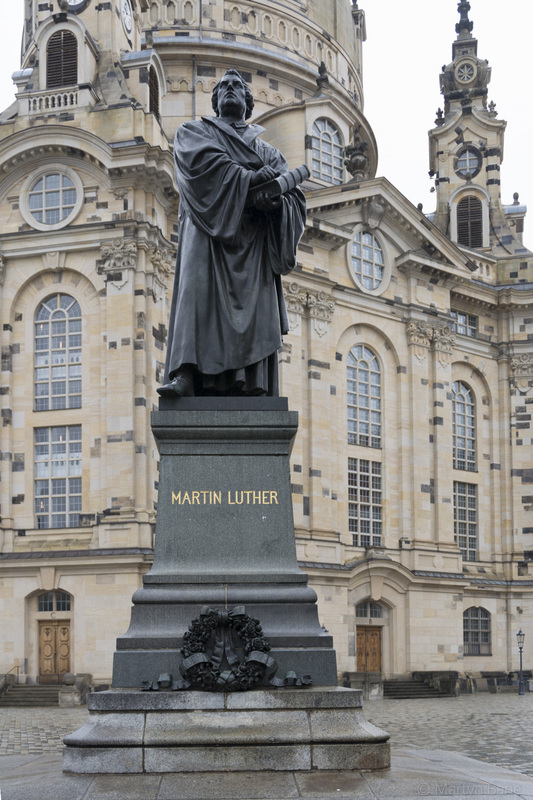 9 A statue to religious reformer Martin Luther in front of the Frauenkirche. 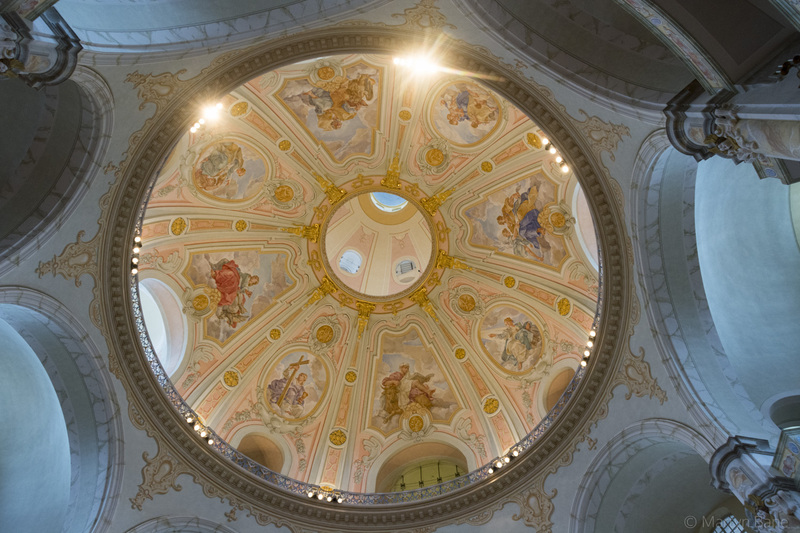 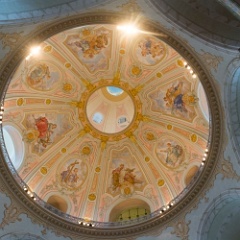 10 The superbly painted dome of the Frauenkirche from the inside. 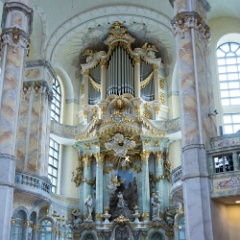 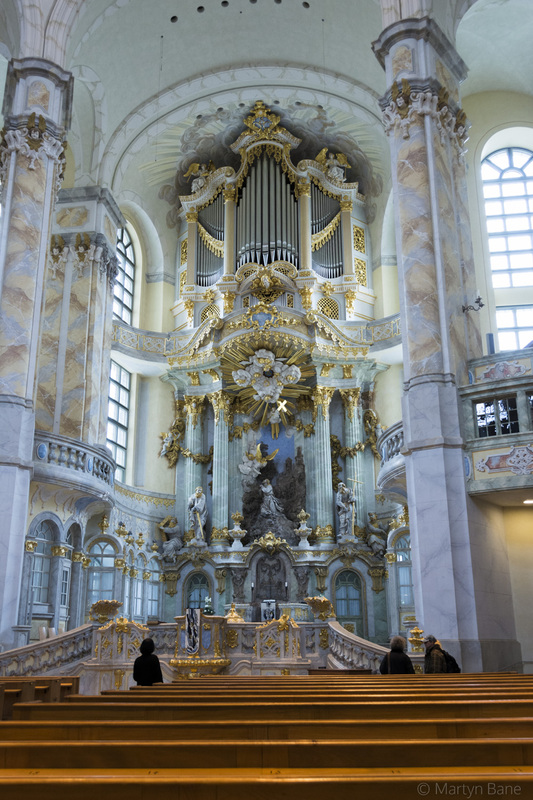 11 The organ and alter in the Frauenkirche. 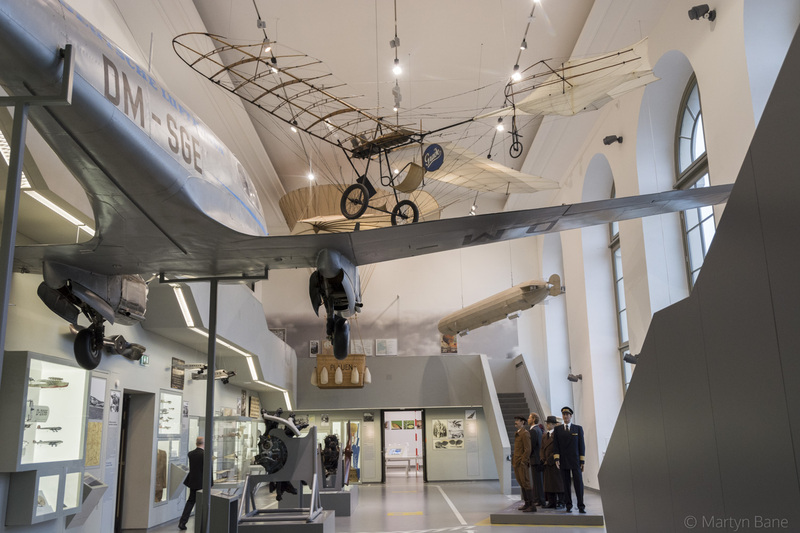 12 Planes inside Dresden Transport Museum. 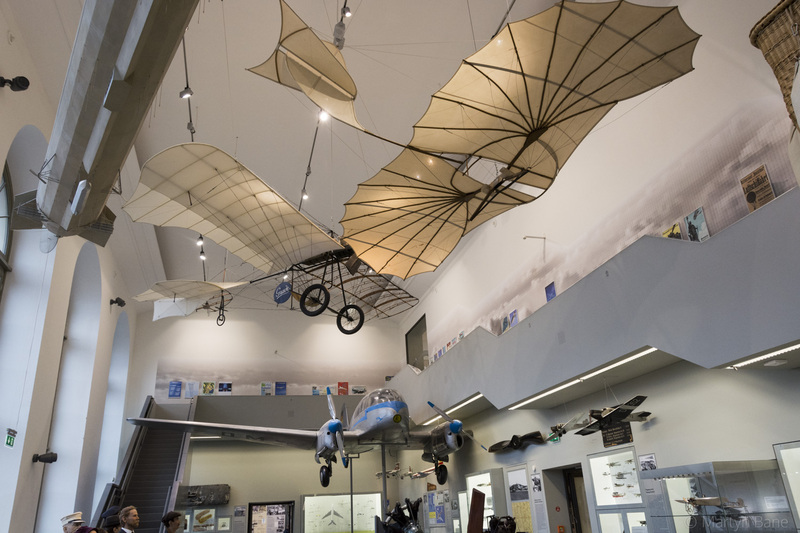 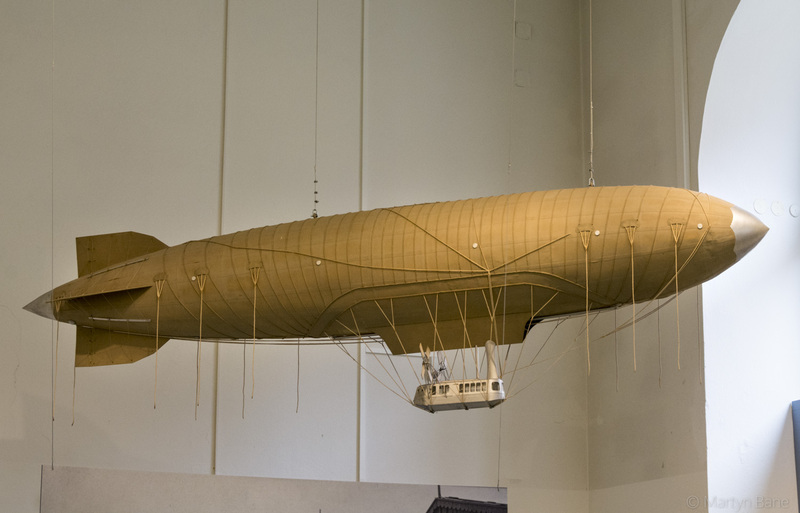 14 Planes and a Zeppelin. 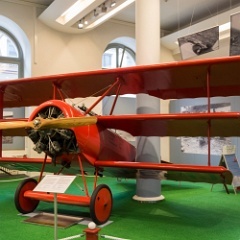 15 A replica of the Red Baron's tri-plane. 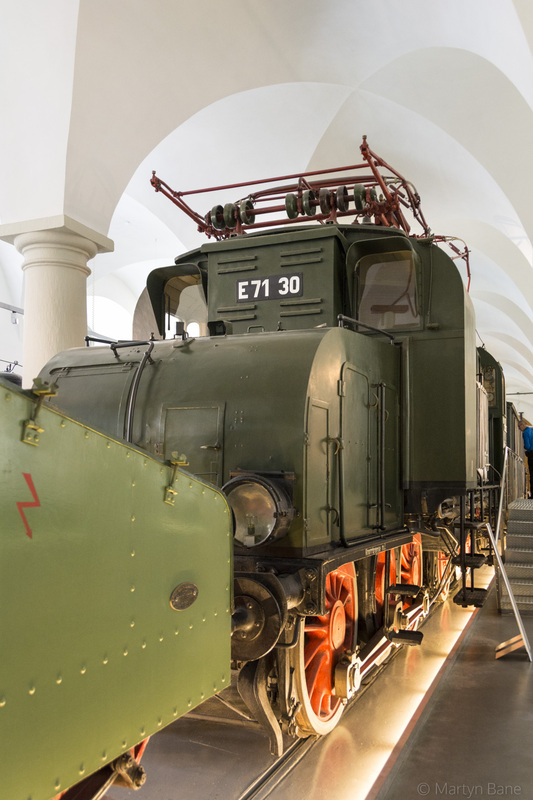 18 Out the back of Dresden Transport Museum. 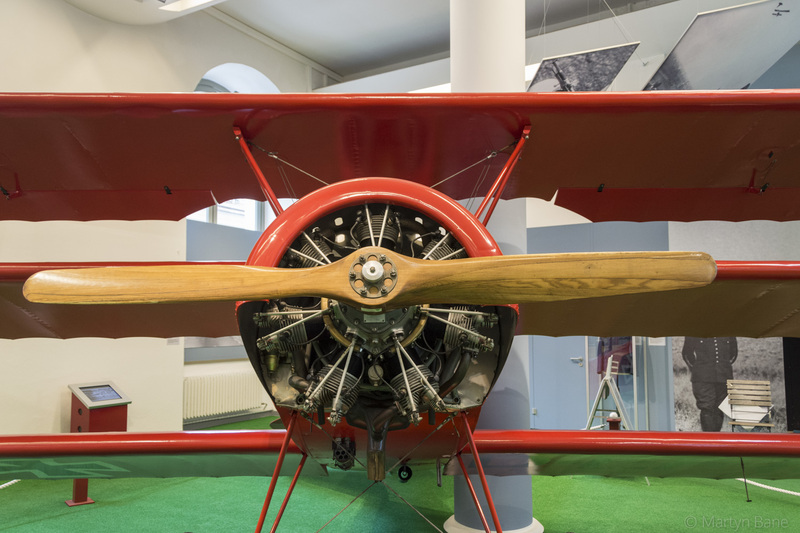 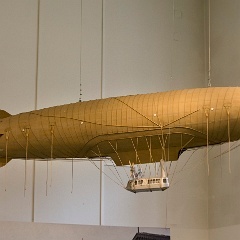 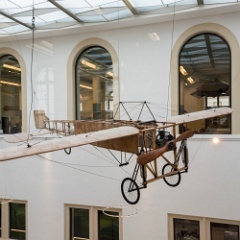 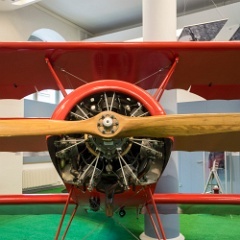 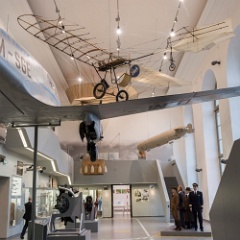 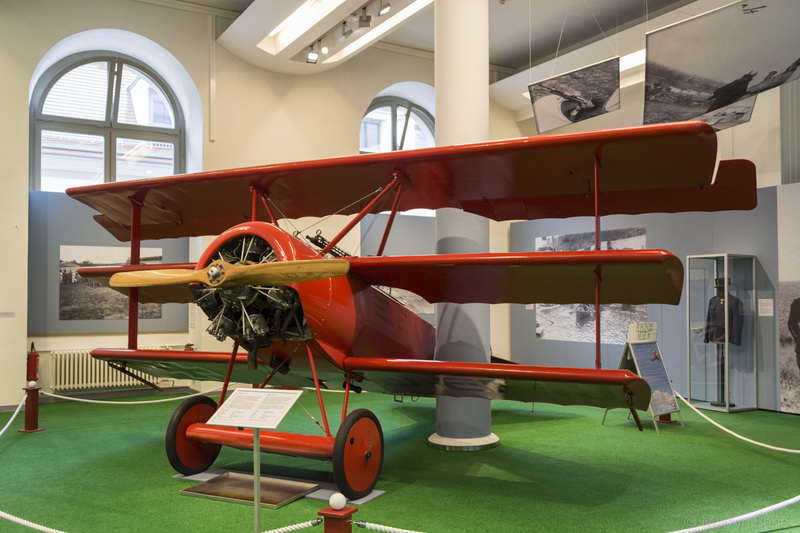 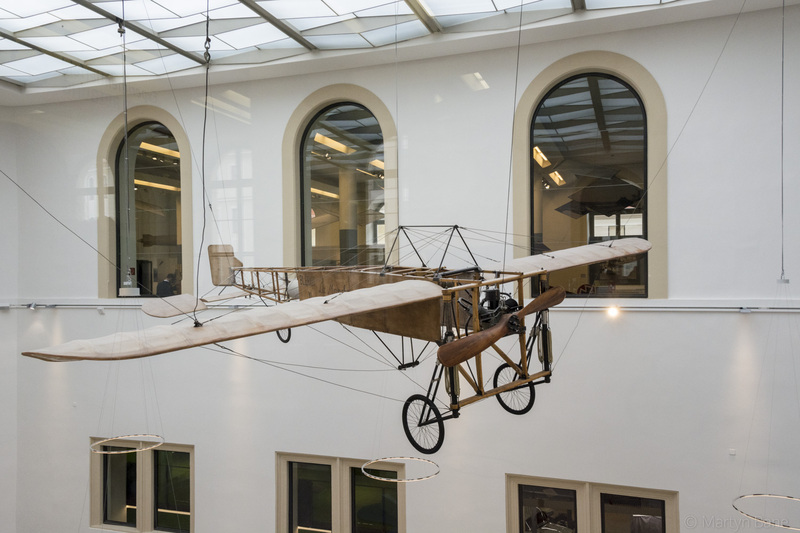 19 An early plane at Dresden Transport Museum. 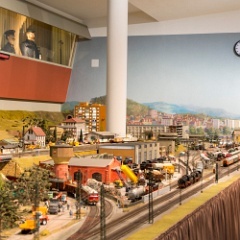 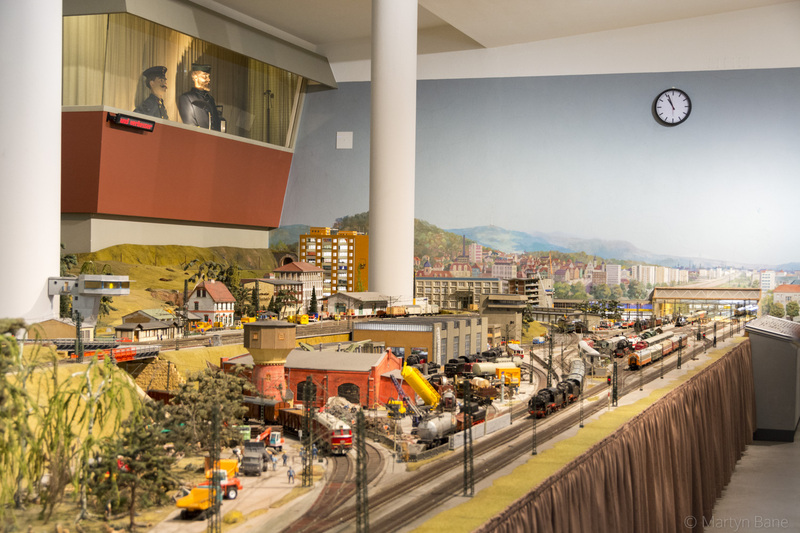 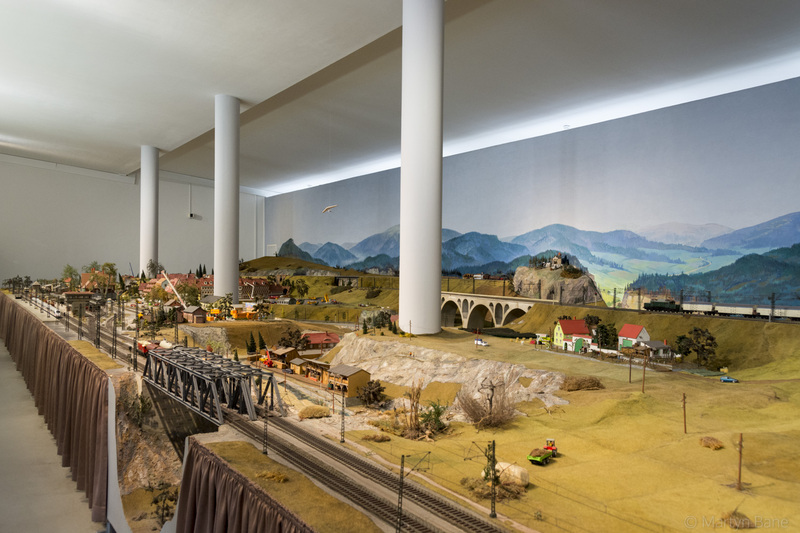 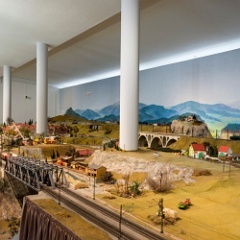 20 Just part of the extensive model railway at the Dresden Transport Museum. 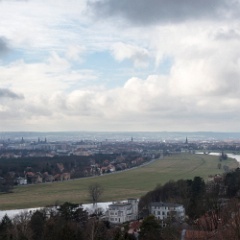 21 And the other half. 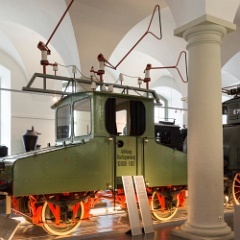 22 A large chunk of an early electric locomotive. 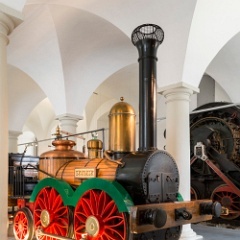 23 A replica of Saxonia, a loco built for the Leipzig-Dresdner Eisenbahn-Compagnie in 1838. 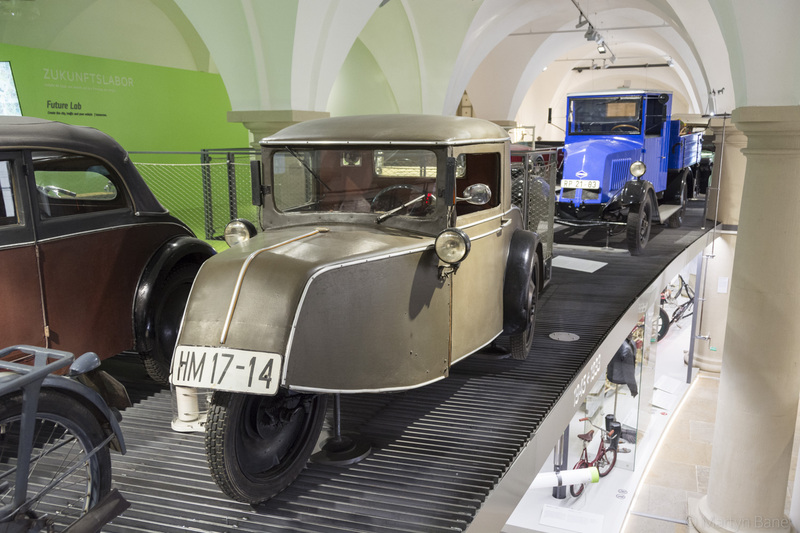 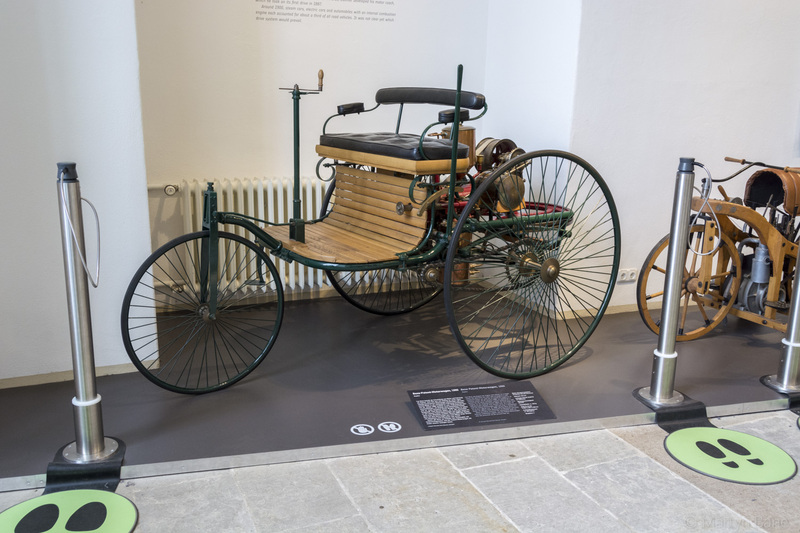 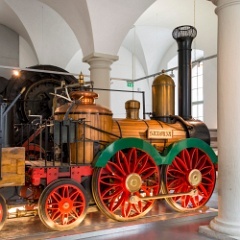 24 Saxonia in the Dresden Transport Museum. 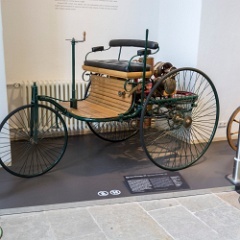 25 What looks like a Double Fairlie but is a French Péchot-Bourdon which was a development of the Fairlie type. 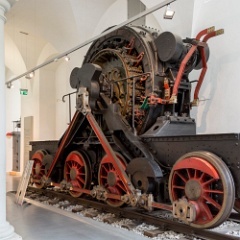 This machine is one of only two known to survive. 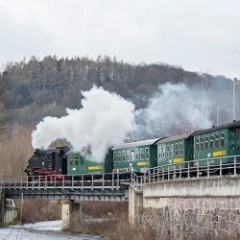 26 0-4-2 Saxonia. 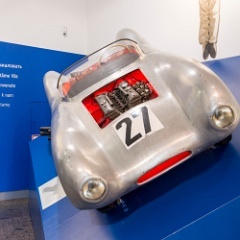 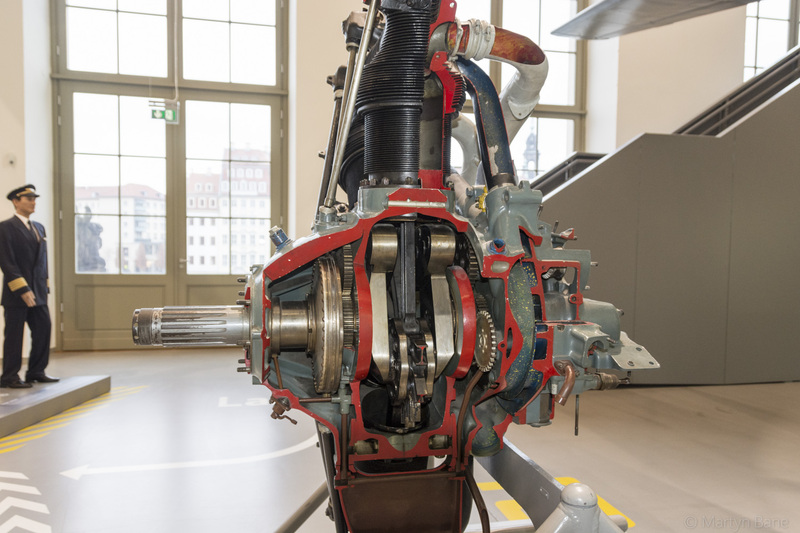 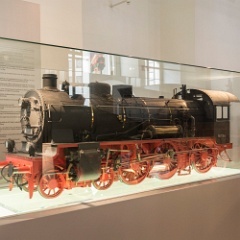 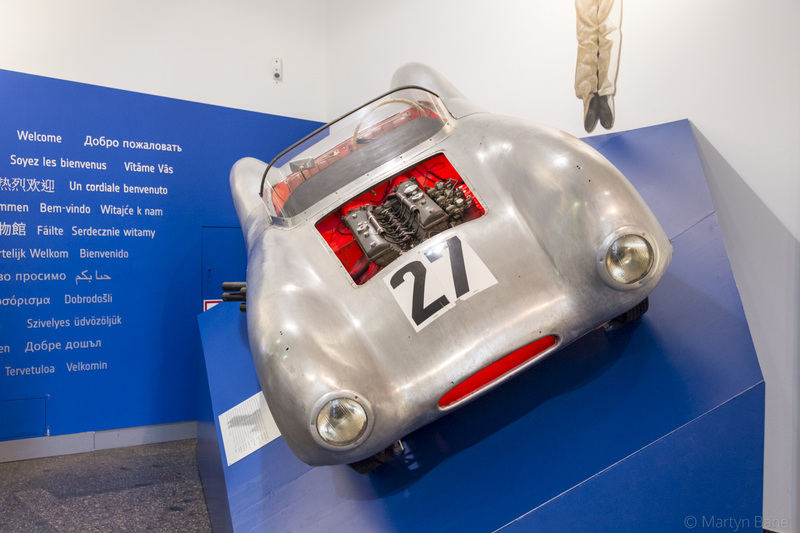 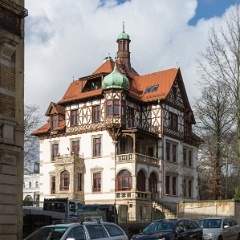 This replica was built at RAW Halle in 1988. 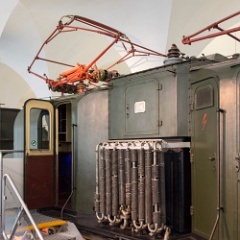 27 An early electric with multiple pantographs. 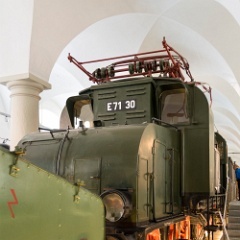 28 E71 30, this loco ran in Russia after WWII as part of war reparations. 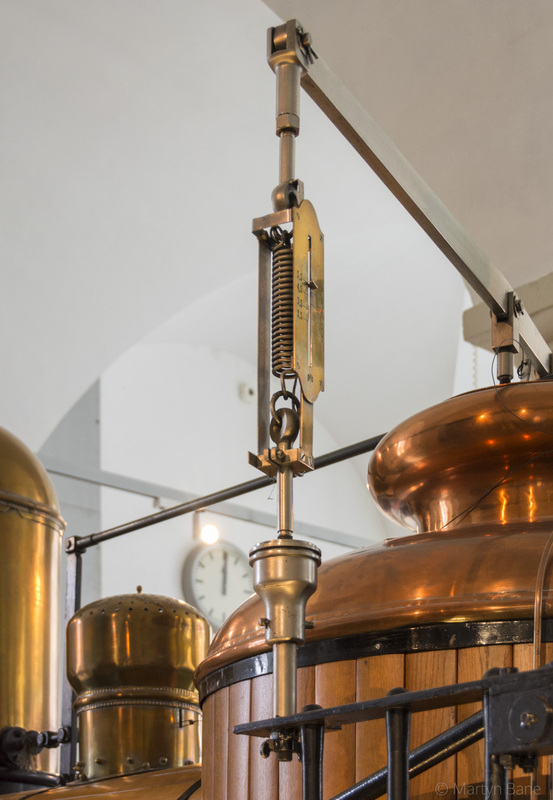 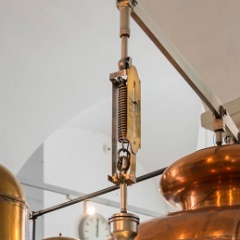 29 The pressure gauge on Saxonia. 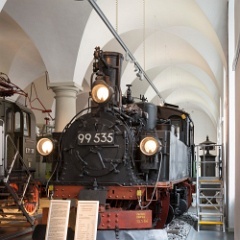 30 99 535, a Meyer 0-4-4-0t class VIk, built for the Saxon 750mm network. 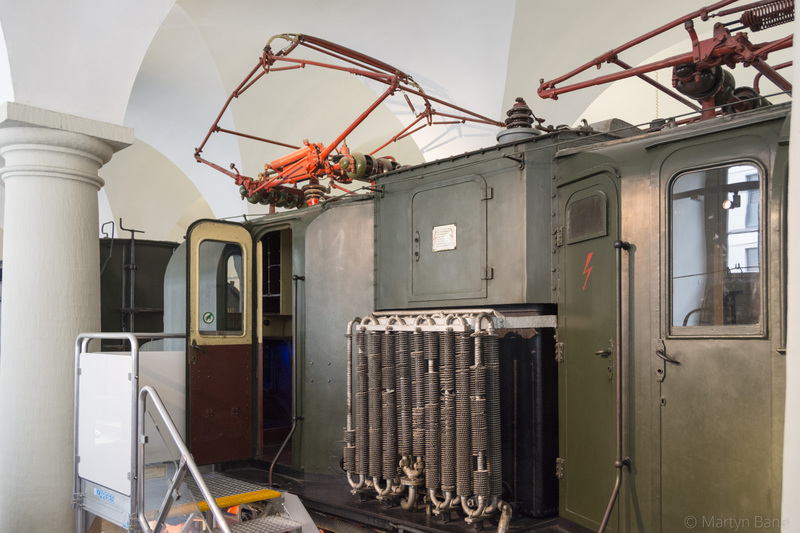 This VIk was not included in the rebuilt scheme from 1964 so is in something approaching original form. 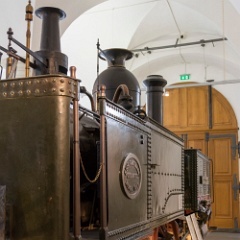 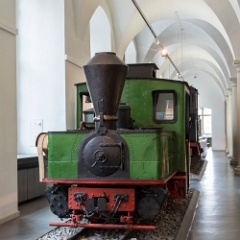 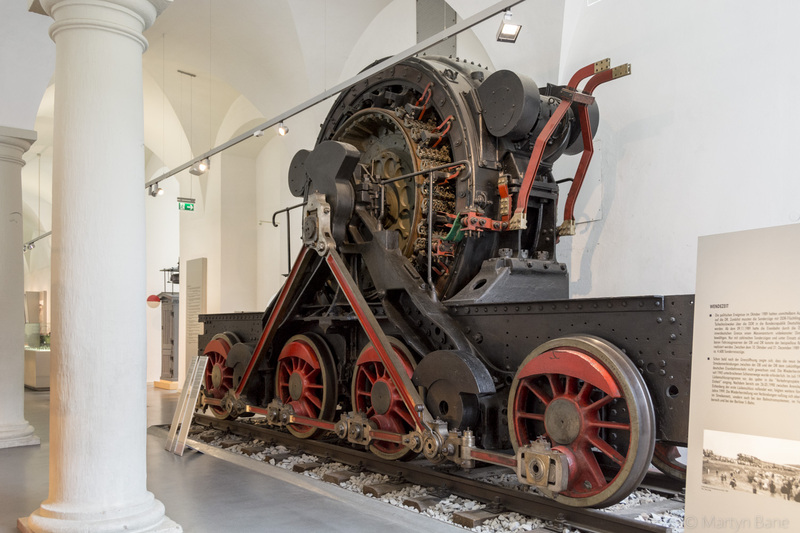 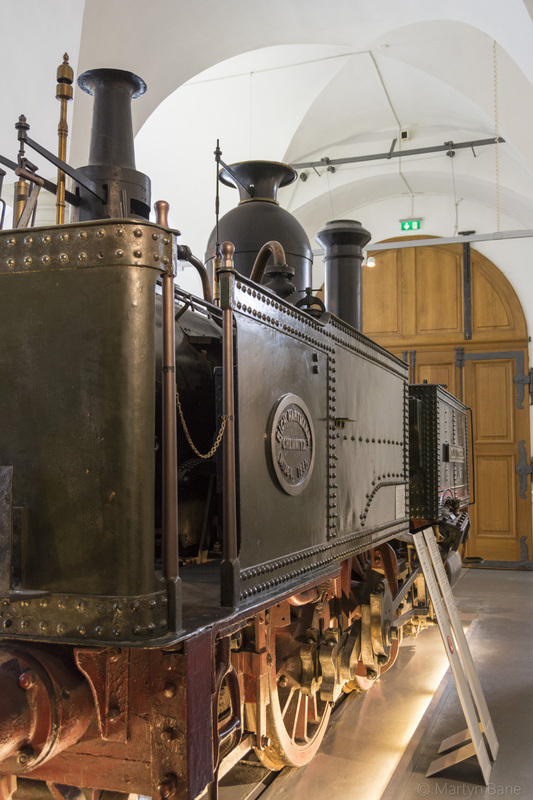 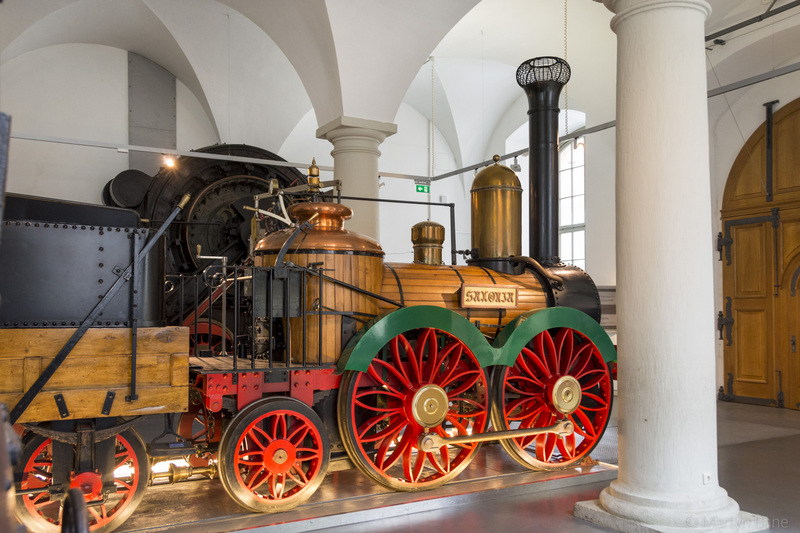 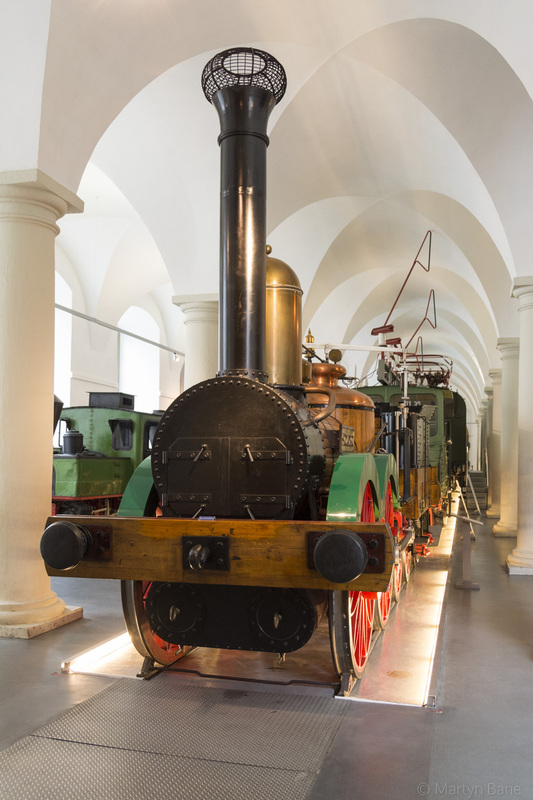 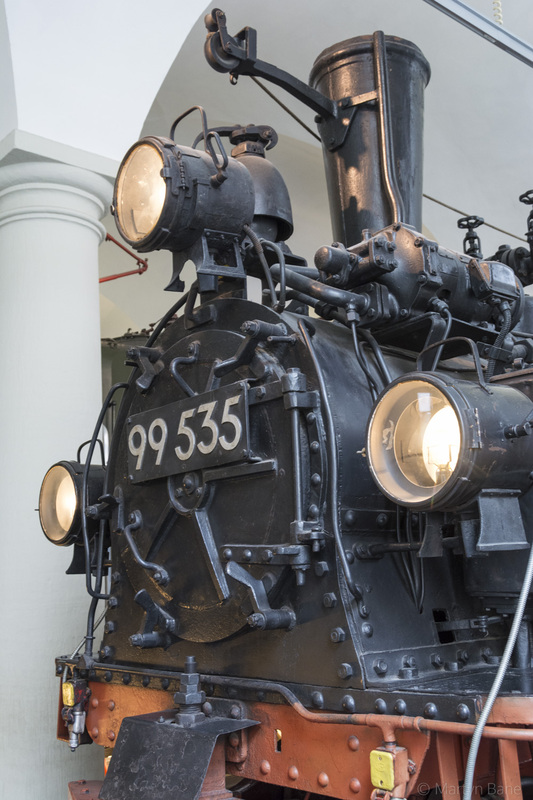 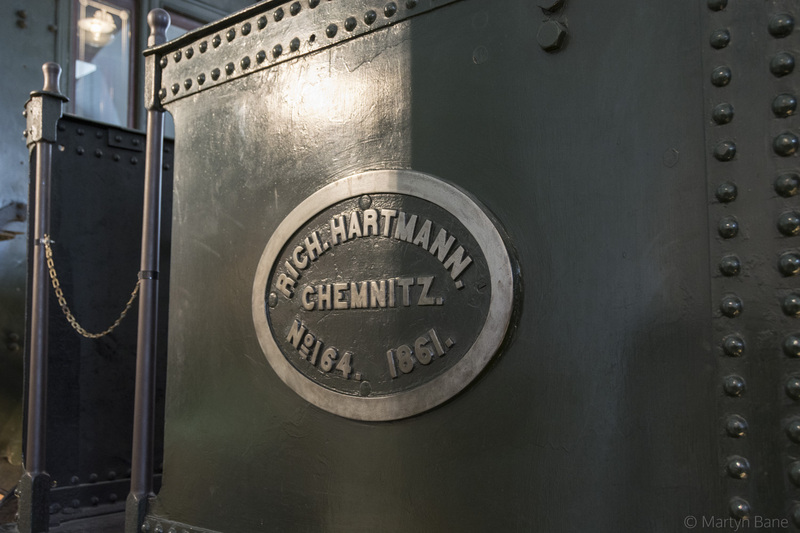 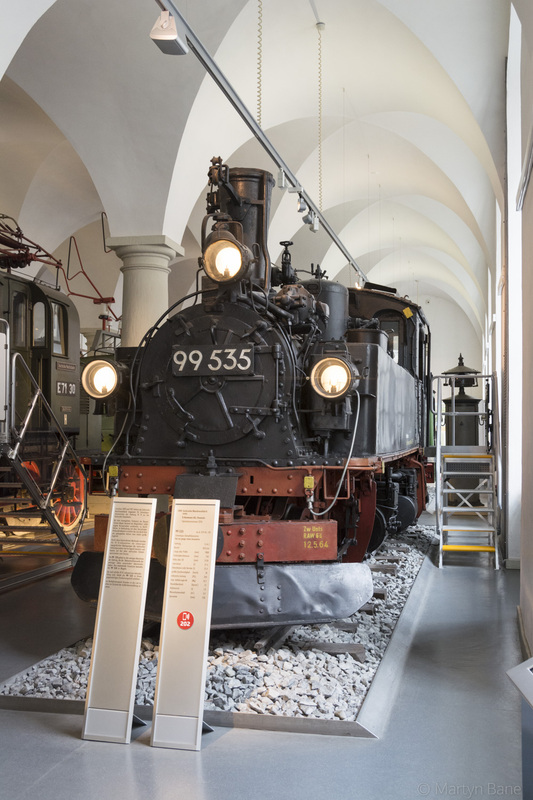 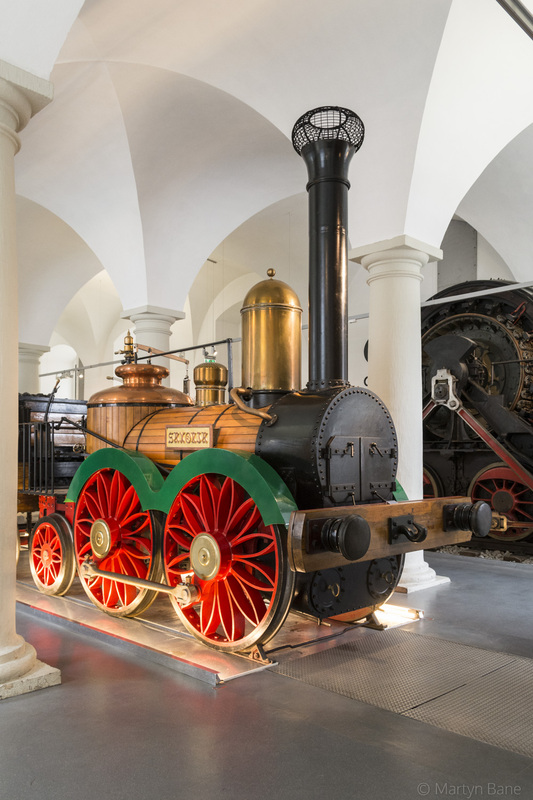 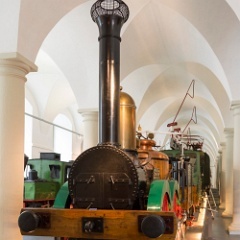 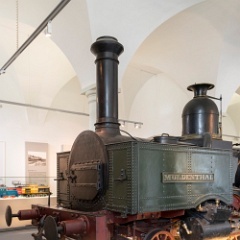 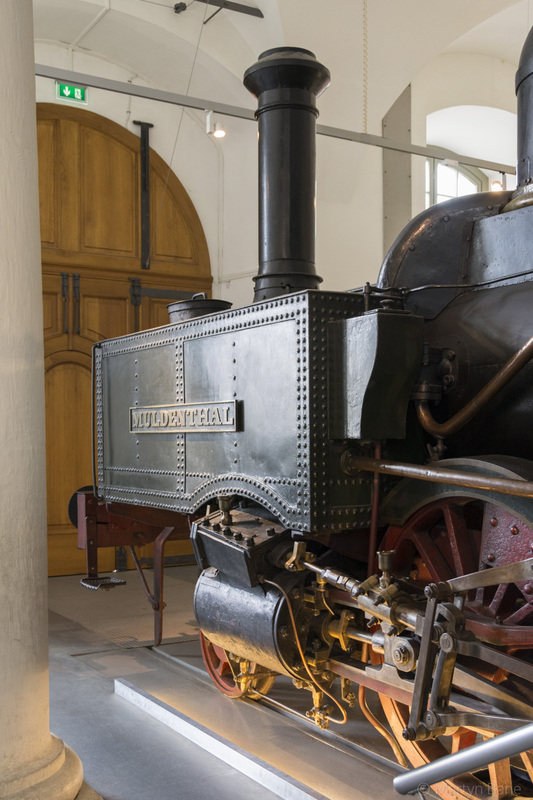 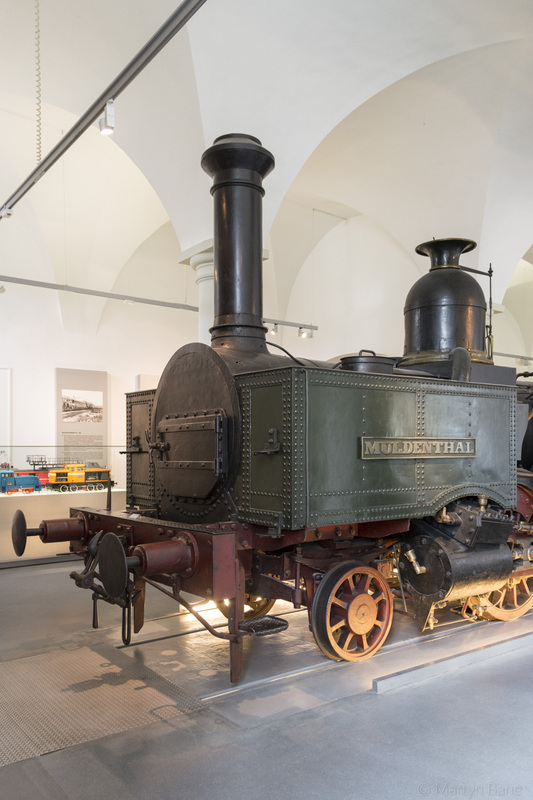 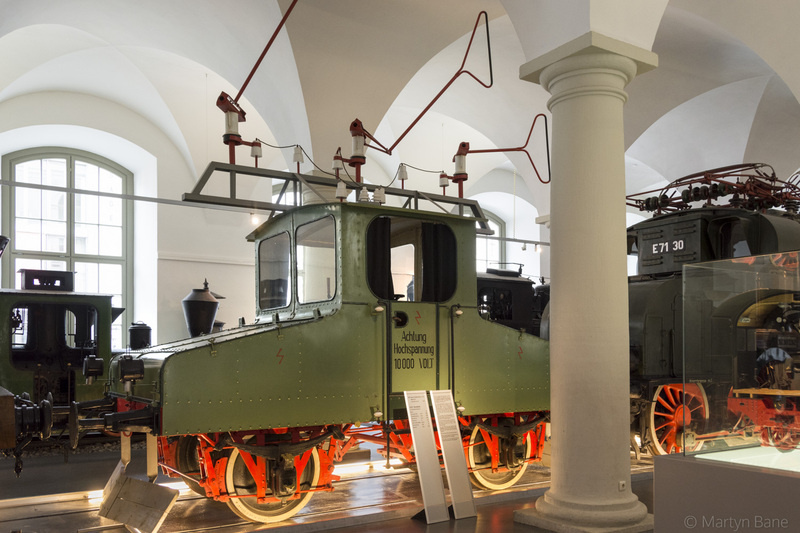 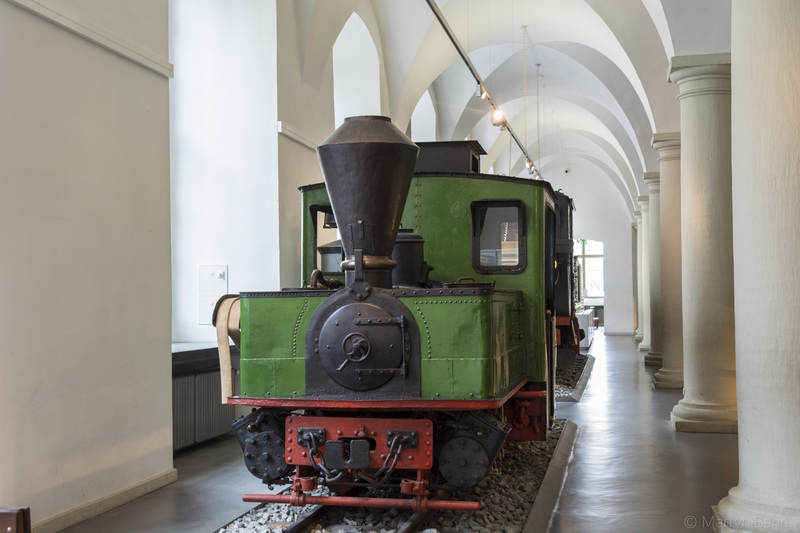 33 Muldenthal, built in 1861 and withdrawn in 1952, this 2-4-0t is one of the stars at Dresden Transport Museum. 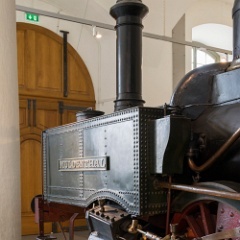 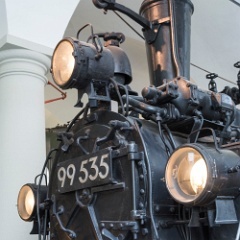 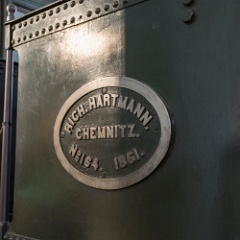 34 19th century steam technology. 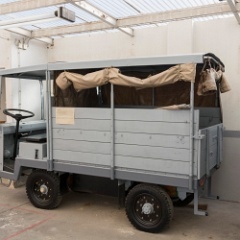 36 Rear view of Muldenthal. 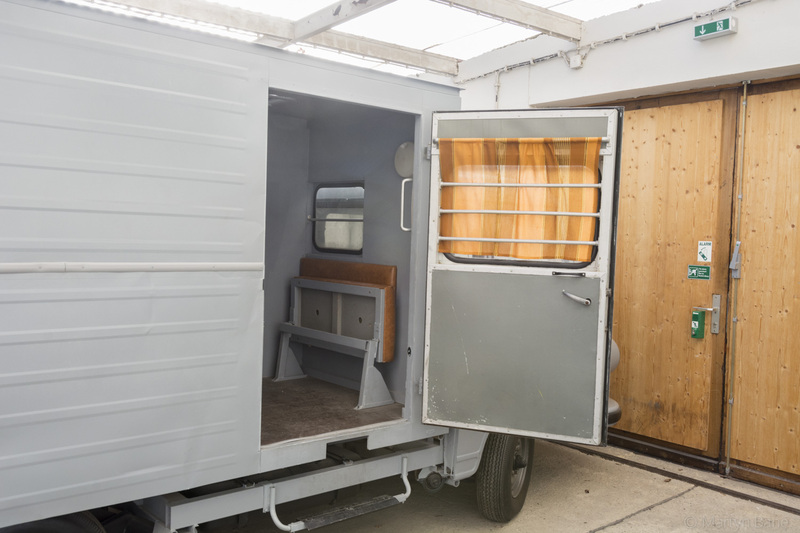 No mod cons! 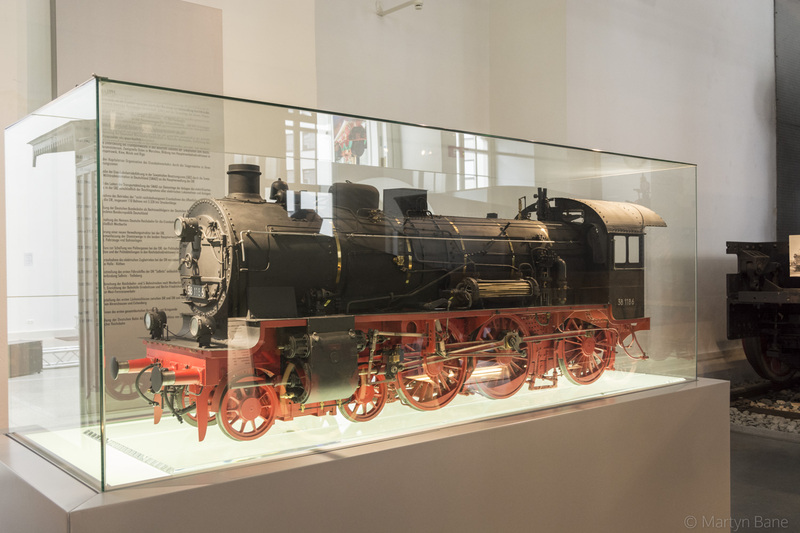 37 A nice model of a Prussian P8 4-6-0 in DR form. 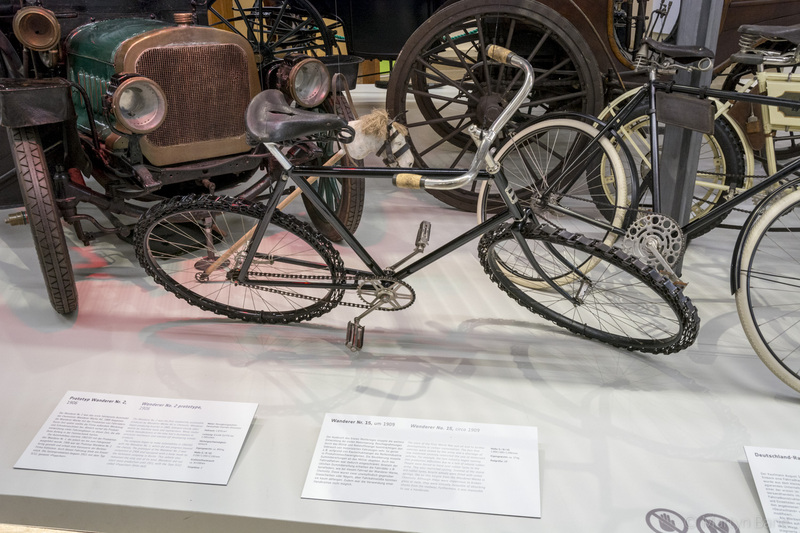 40 A bicycle with metal "tyres". 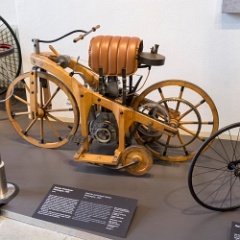 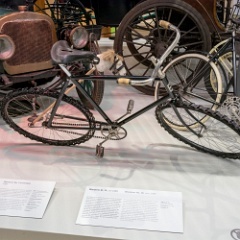 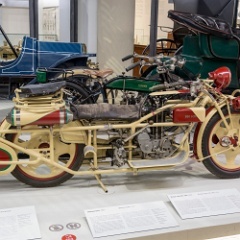 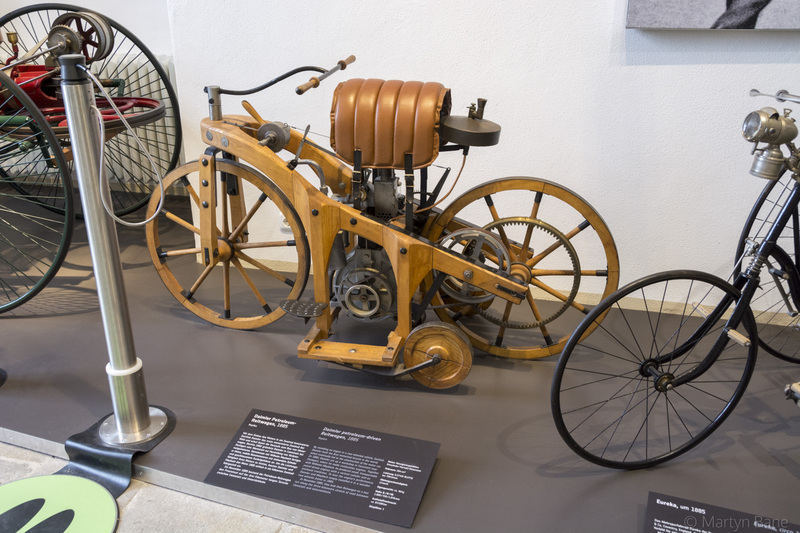 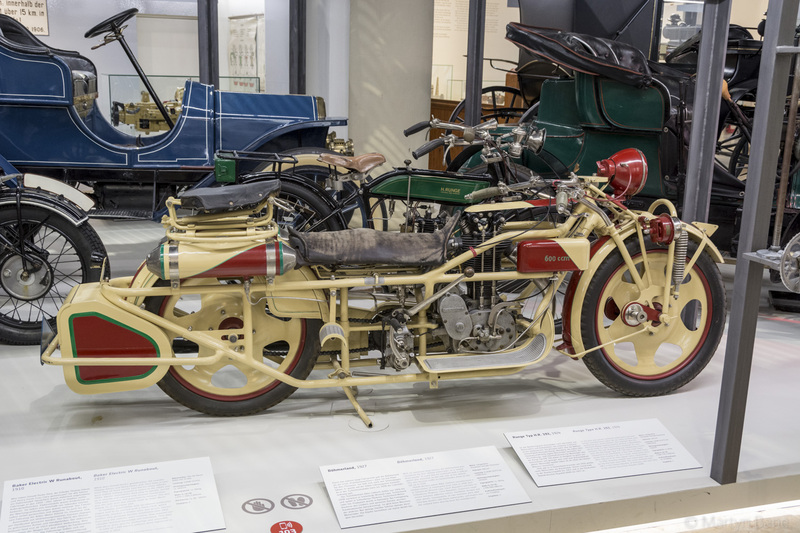 41 An early petrol driven bike. 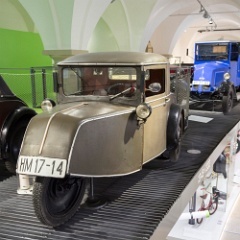 42 Looks fun to drive! 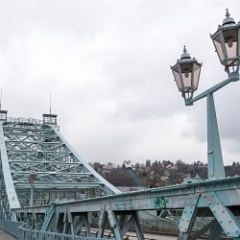 45 On the Loschwitz Bridge, known locally as the Blue Wonder. 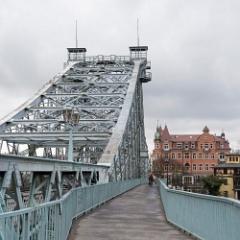 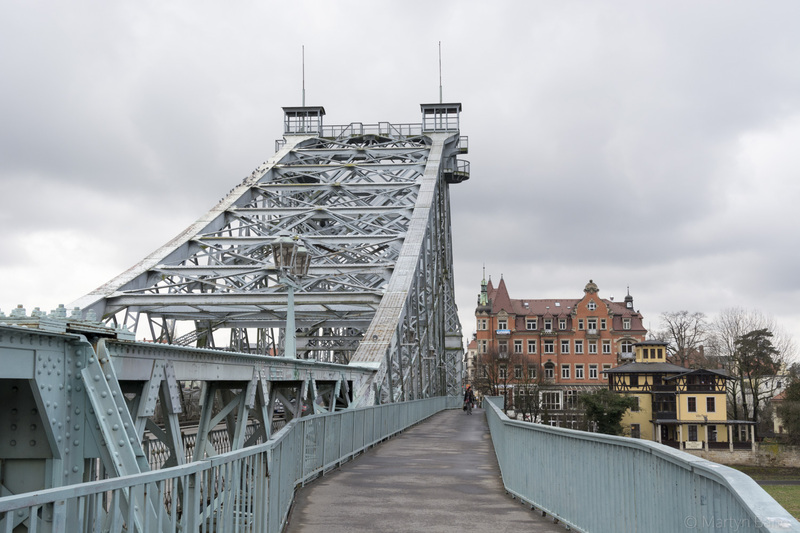 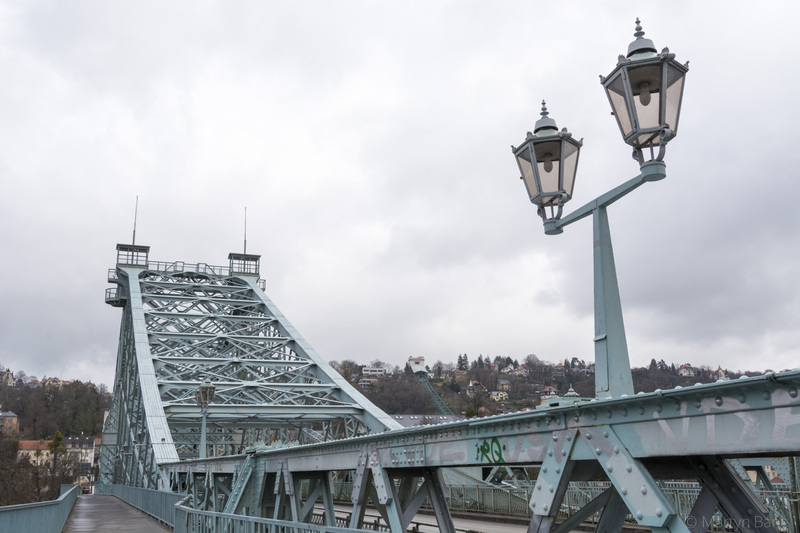 This was the only bridge over the Elbe not breached during WWII. 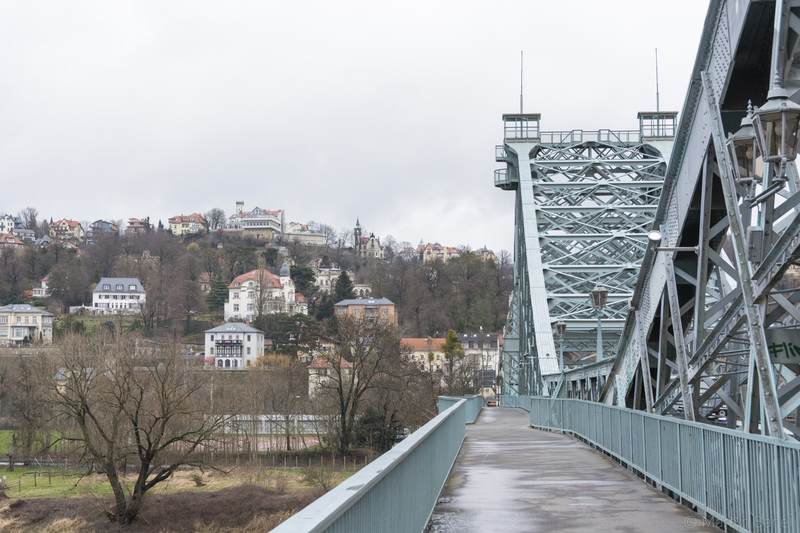 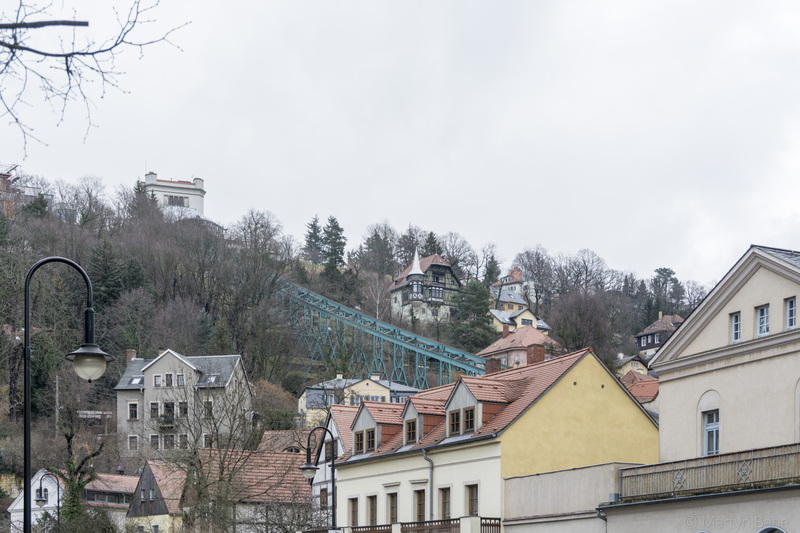 46 The Loschwitz Bridge showing the Schwebebahn Dresden (Dresden Suspension railway) on the hill behind. 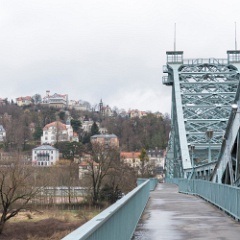 47 Looking to the south bank of the Elbe on the Loschwitz Bridge. 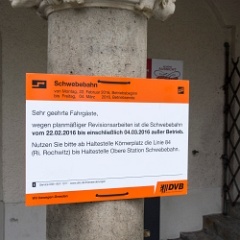 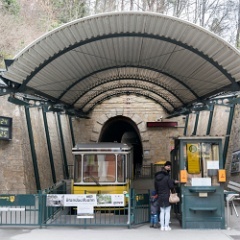 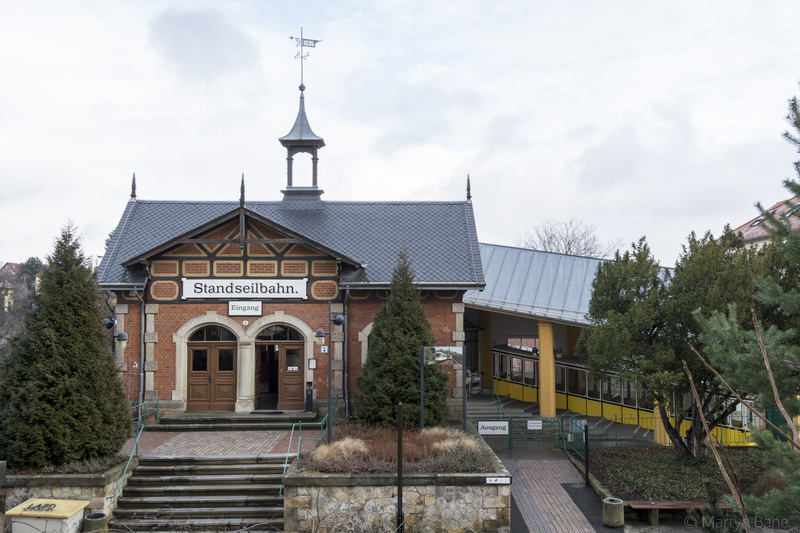 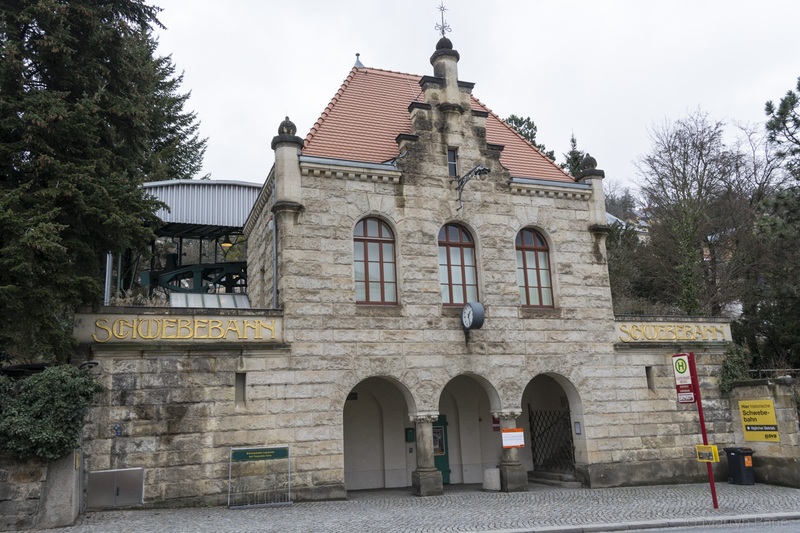 48 The entrance to the lower station of Standseilbahn funicular railway. 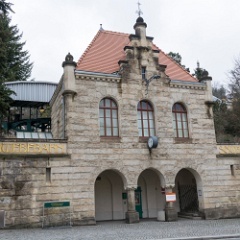 50 The lower station on the Schwebebahn. 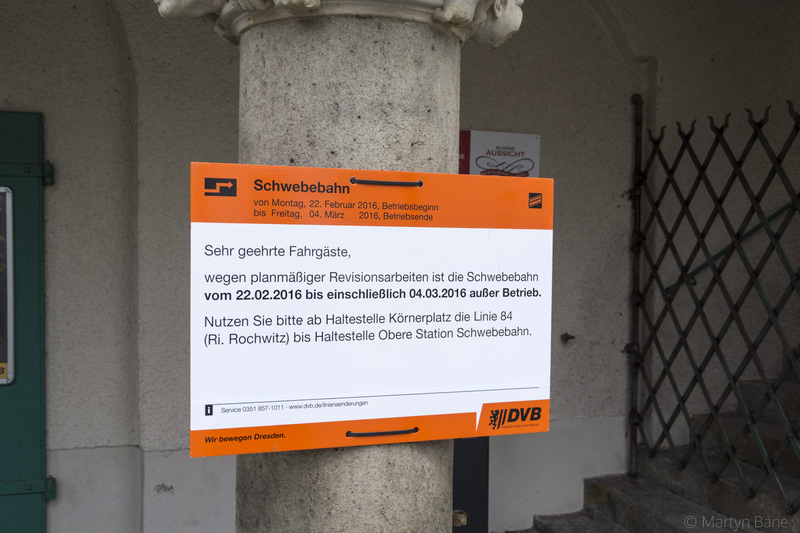 51 Bugger, closed from the day of my visit! 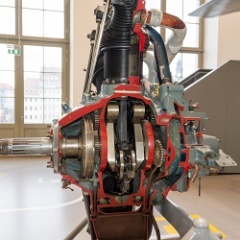 This at least explained the sound of angle grinders and hammers! 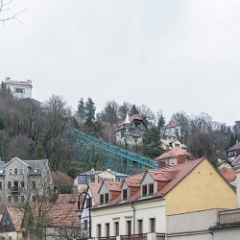 52 The Schwebebahn up the hillside. 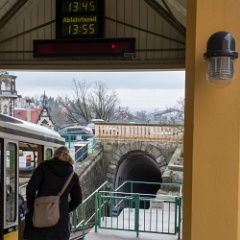 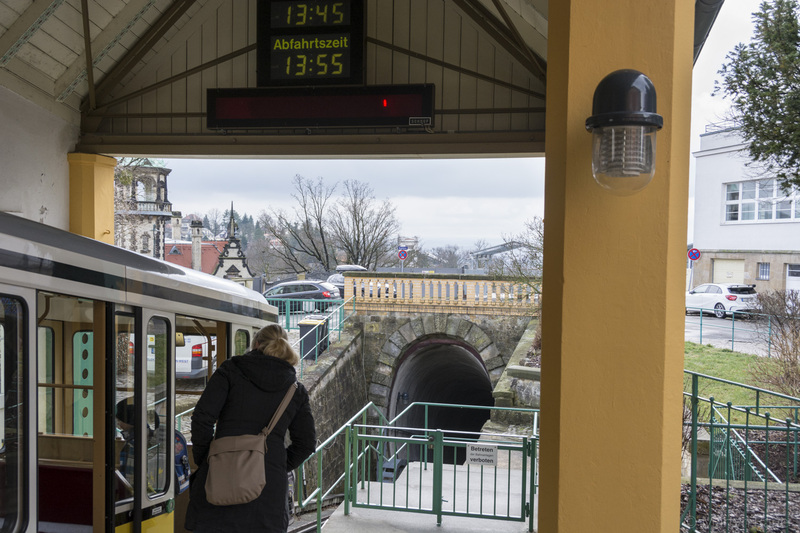 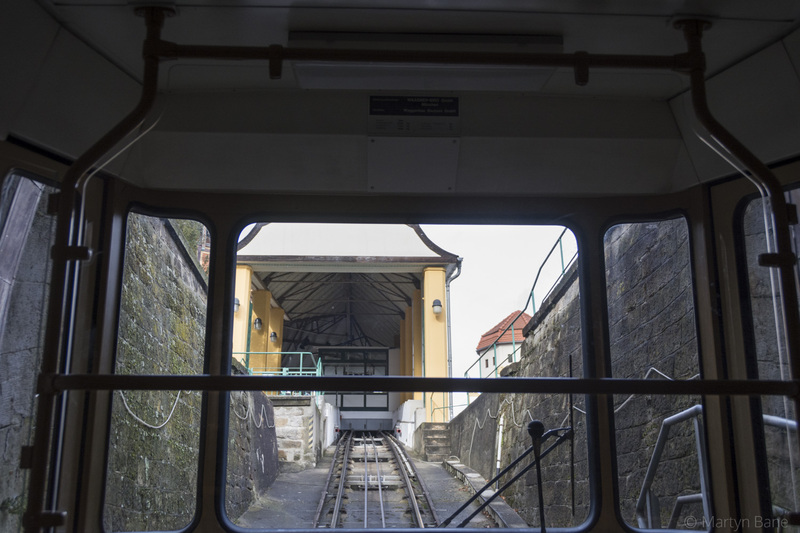 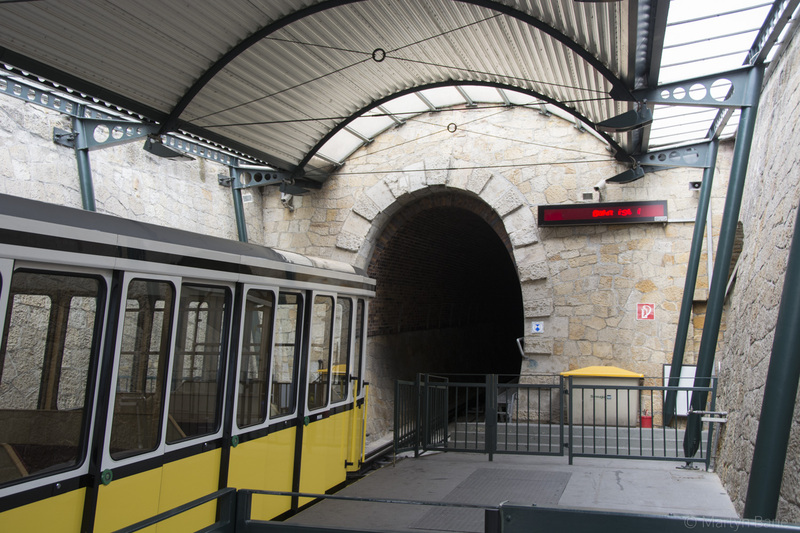 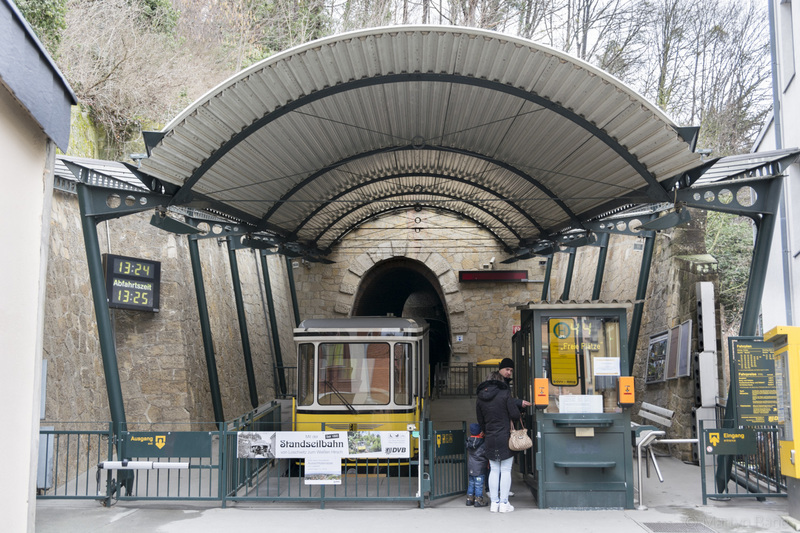 53 The Standseilbahn immediately enters a tunnel when leaving the lower station. 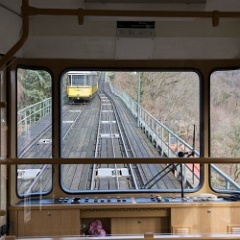 54 Crossing the downhill car on the Standseilbahn. 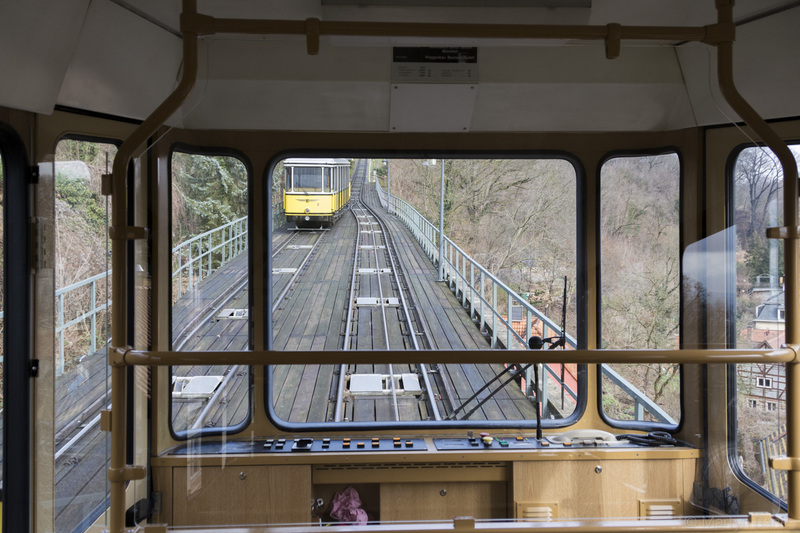 55 Approaching the top station on the Standseilbahn. 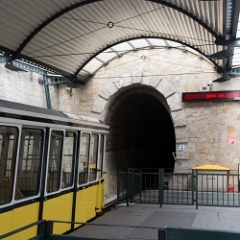 56 There is tunnel at this end of the Standseilbahn too. 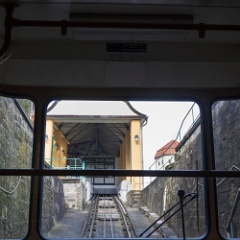 57 The top station on the Standseilbahn. 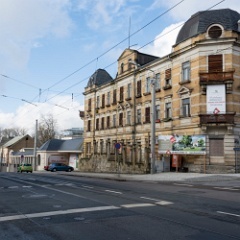 58 Loschwitz Bridge is prominent in this view from the patio of a closed hotel. 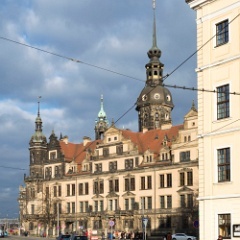 59 The centre of Dresden from a long way off. 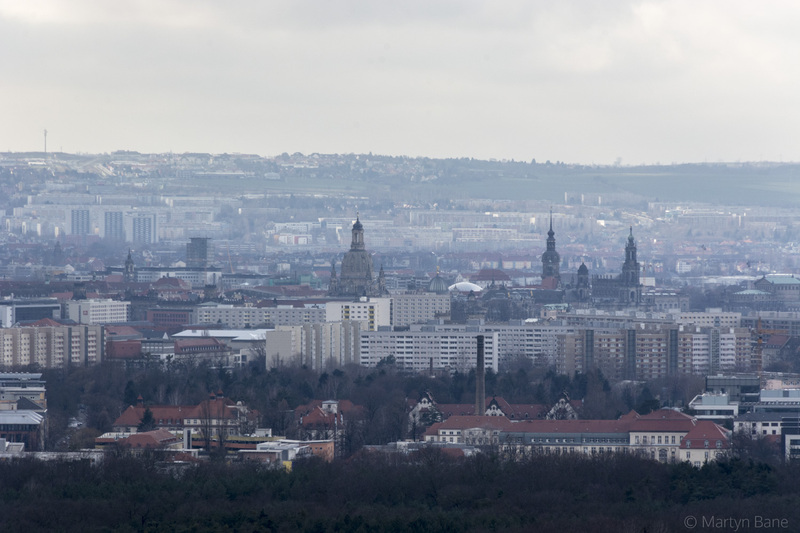 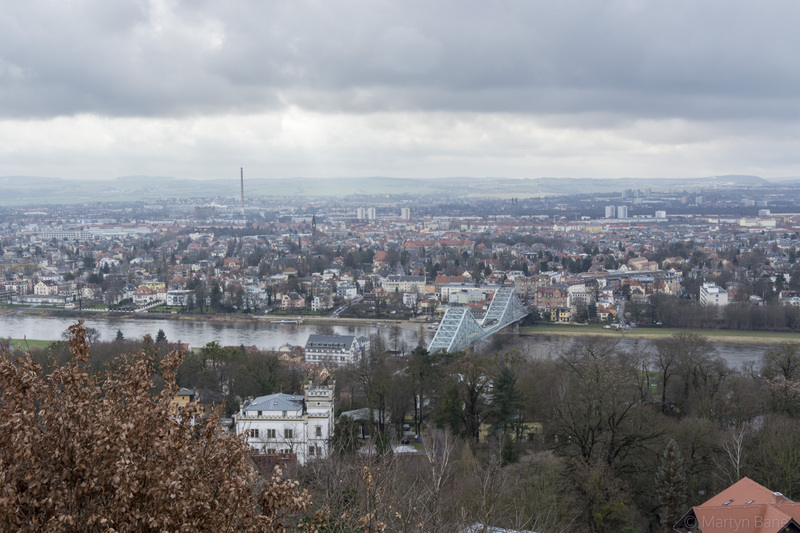 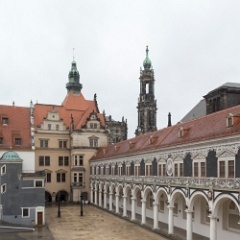 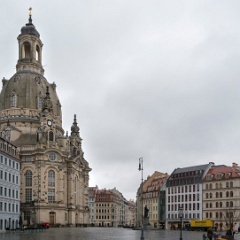 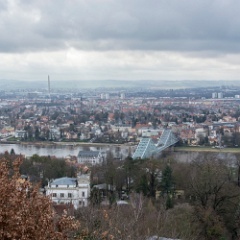 The Frauenkirche is prominent in the centre of the image. 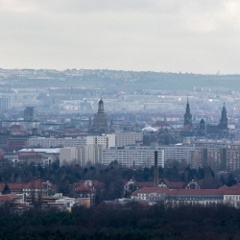 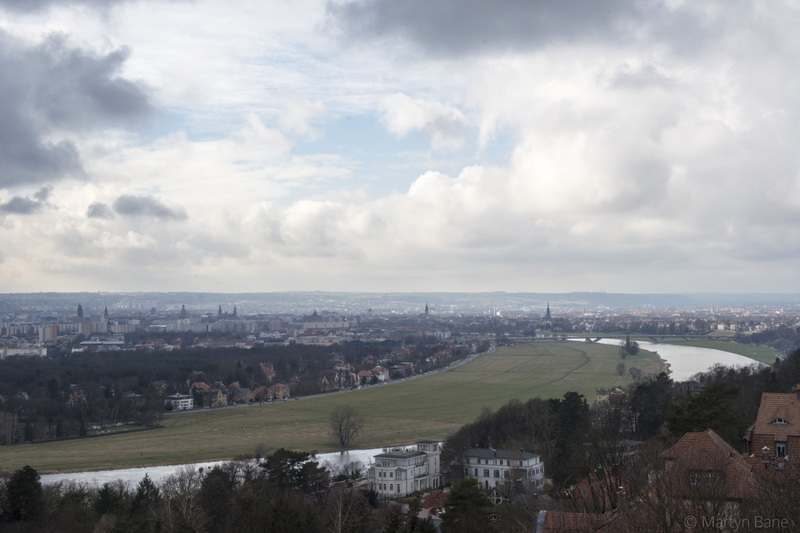 60 Looking towards central Dresden. 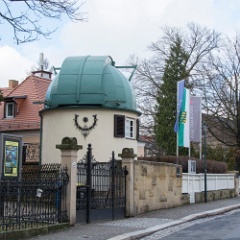 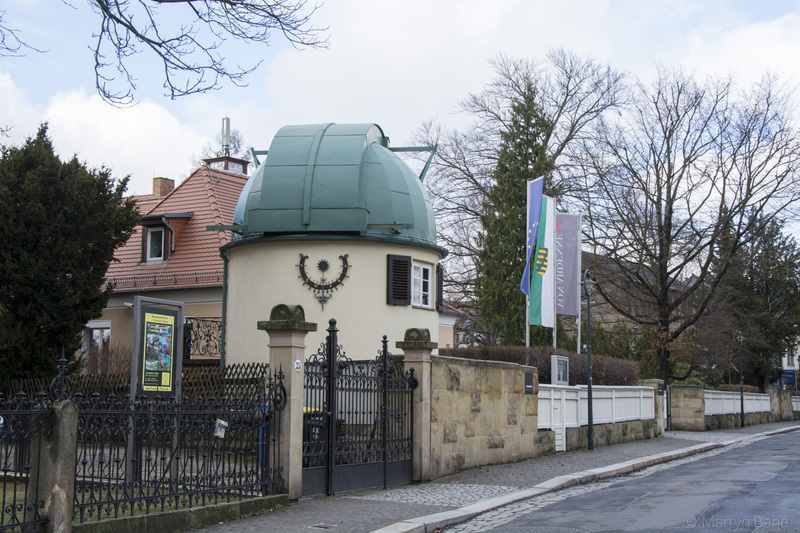 61 An observatory in a back garden, now a preserved artifact. 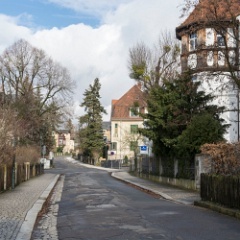 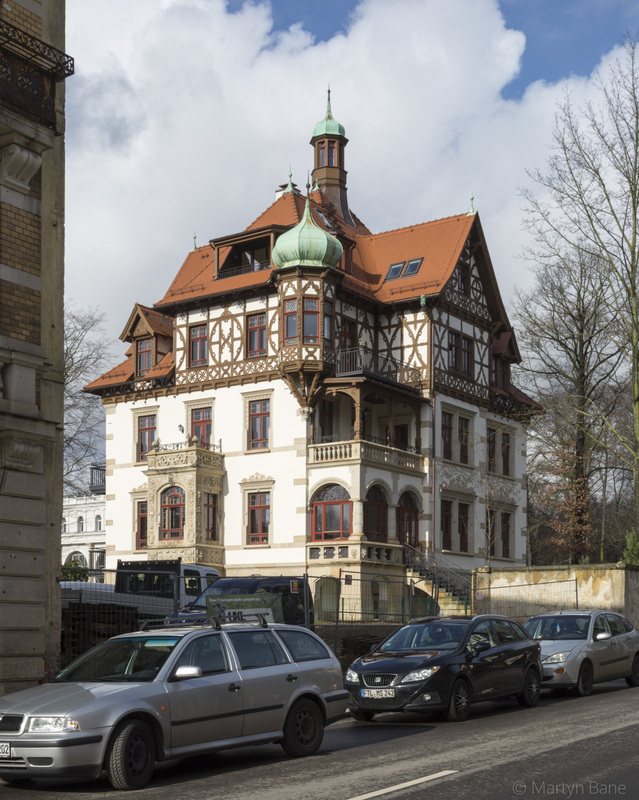 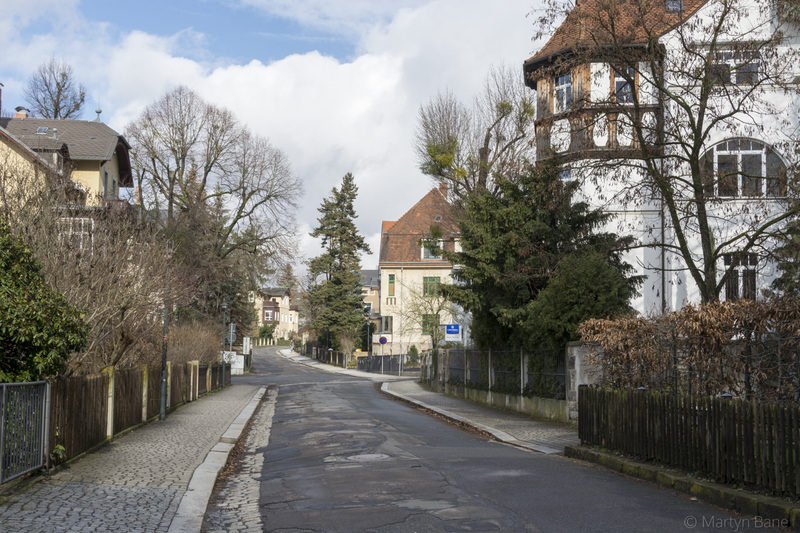 62 Looking along Plattleite in the Weisser Hirsch district. 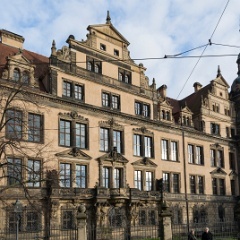 64 A pretty impressive building, formerly part of the Lahmann Sanitorium. 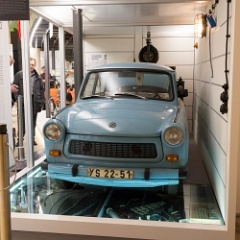 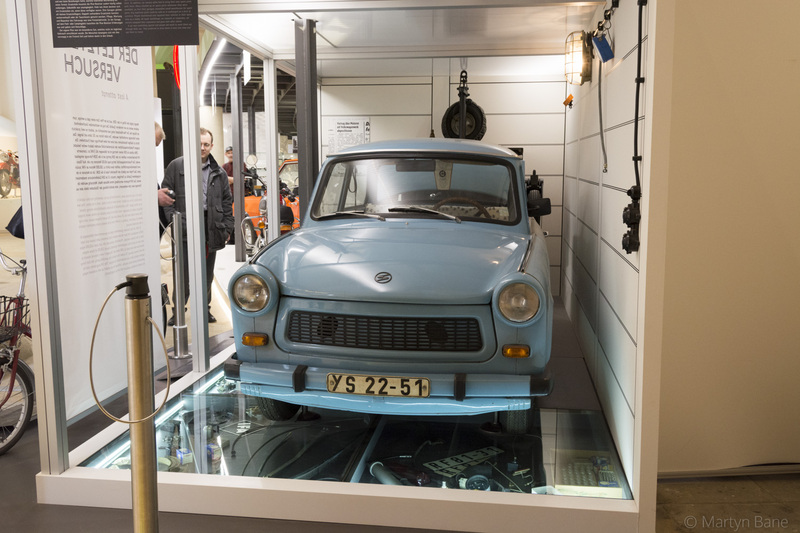 65 Transport at the Stasi Jail Museum. 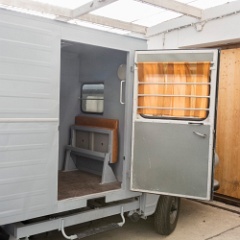 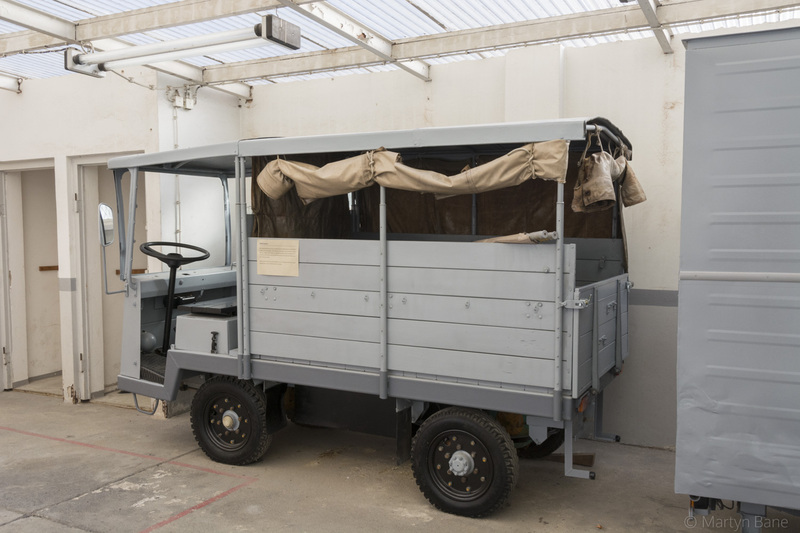 66 Prisoner transport at Dresden's Stasi Jail Museum. 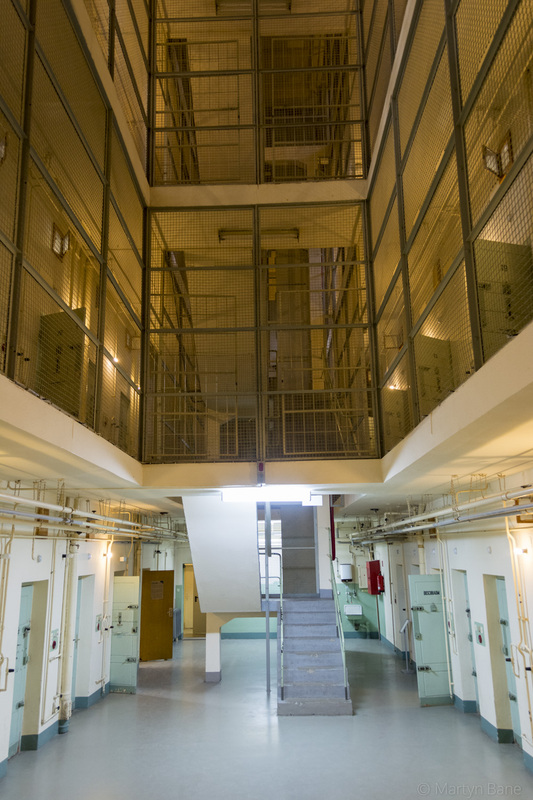 67 Inside the former Stasi Jail. 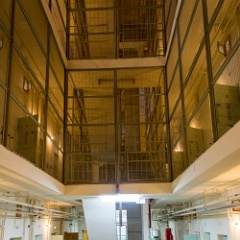 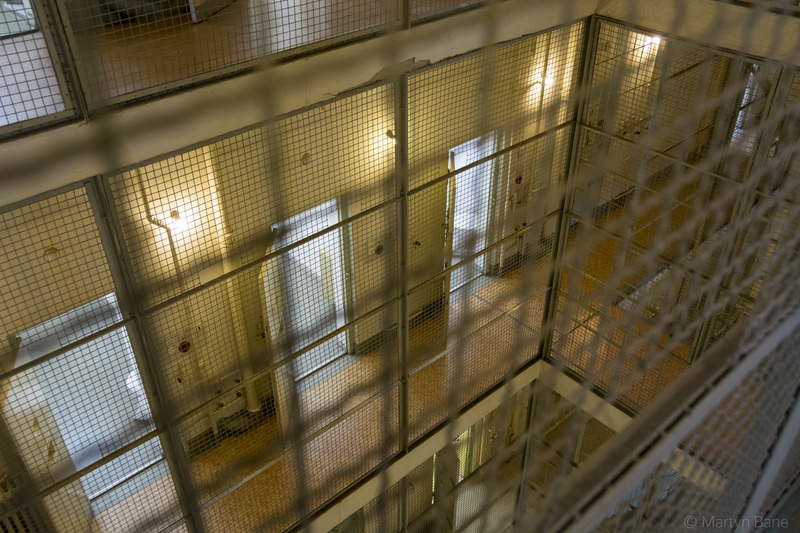 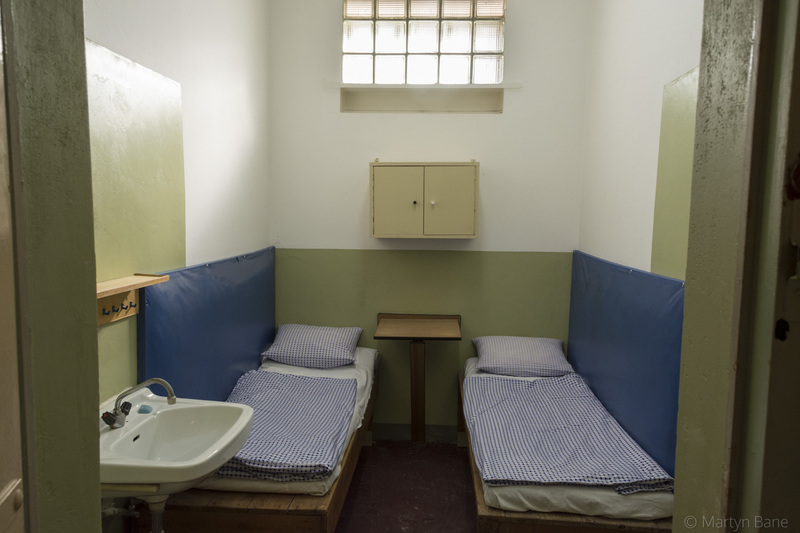 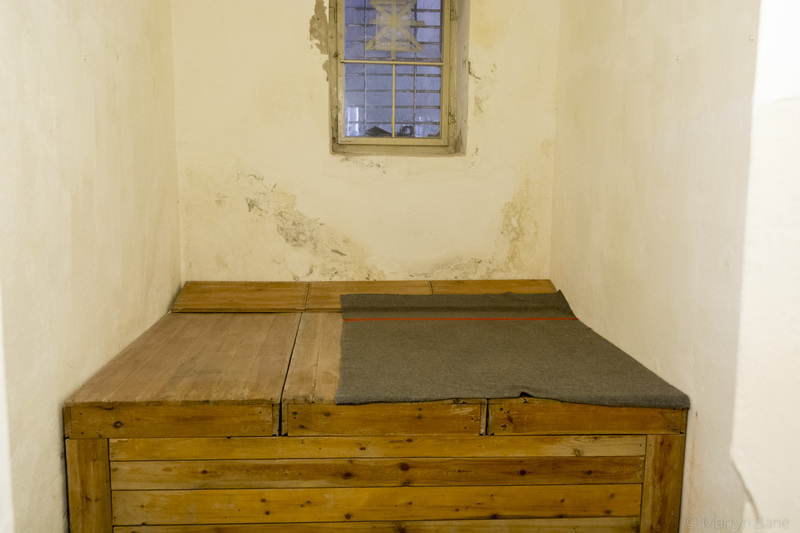 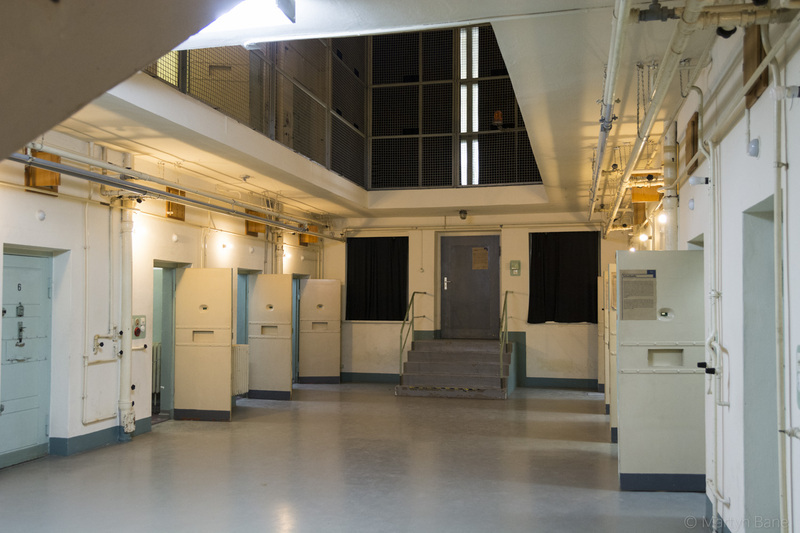 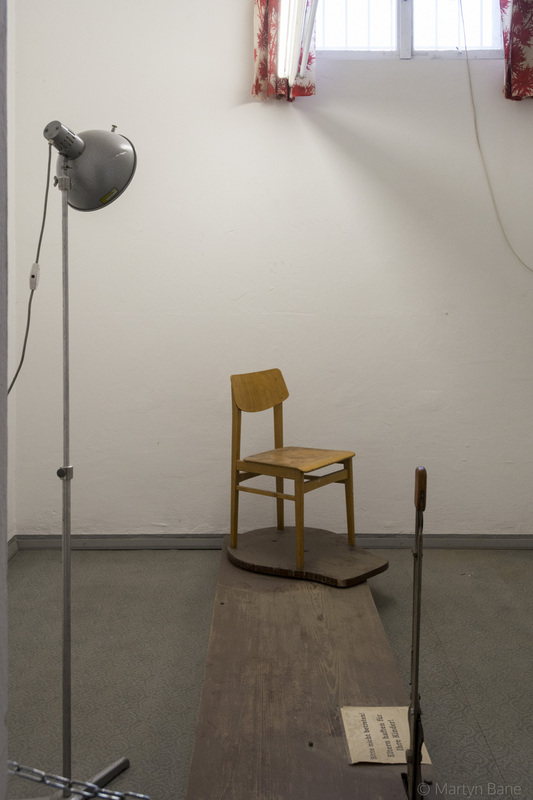 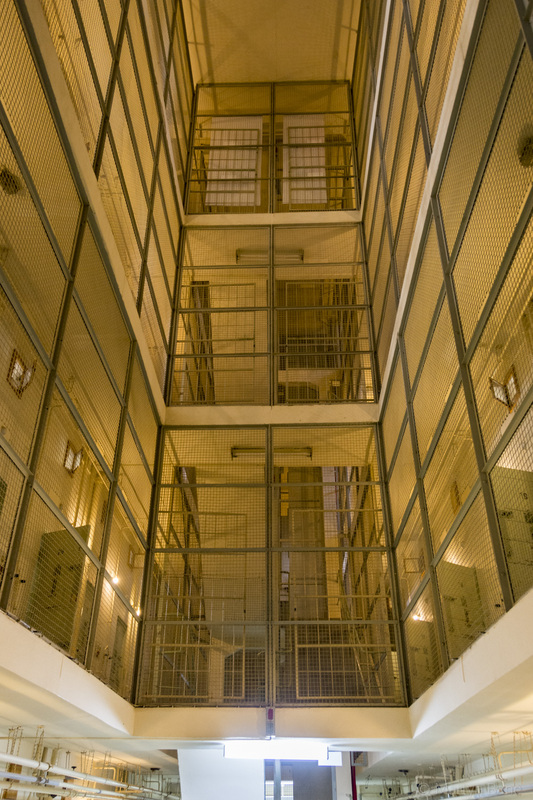 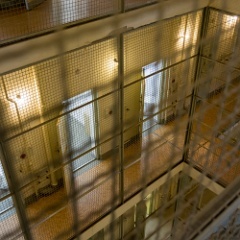 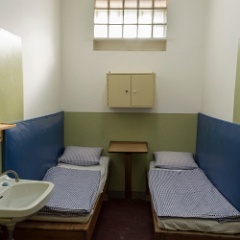 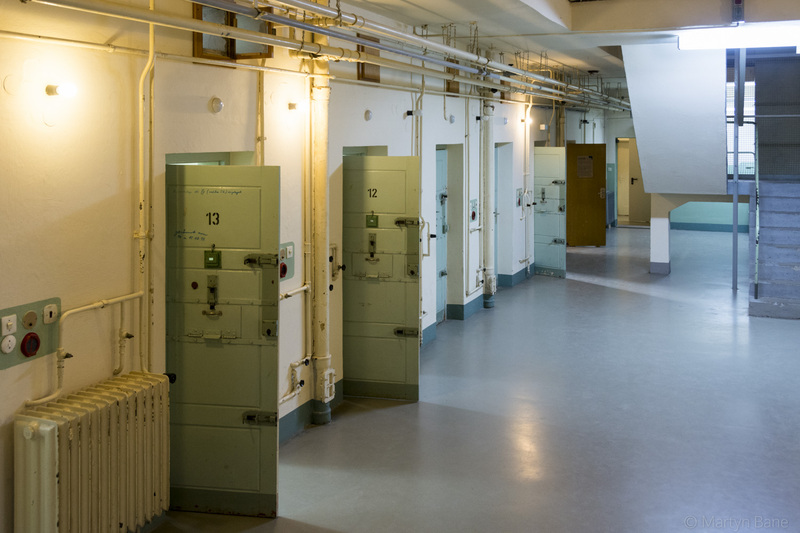 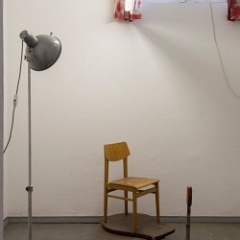 68 Unlike the jail at Hohenschoenhausen in Berlin here it was two inmates per cell. 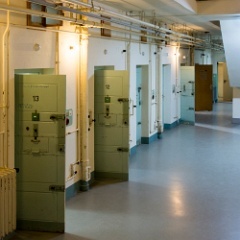 69 Lots of cells for inmates. 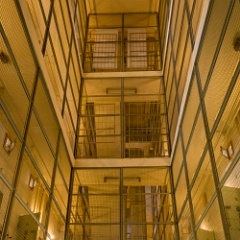 70 Looks much like a prison anywhere but this one was for political prisoners. 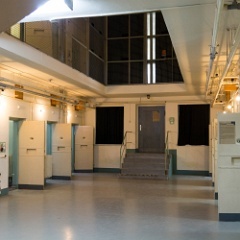 72 The photography room where all new prisoners were photographed from various angles. 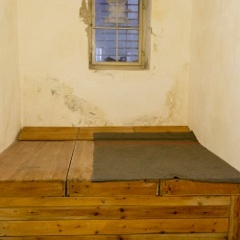 74 Soviet era "bed", more people would have been placed in this cell than could have made use of the very hard bed. 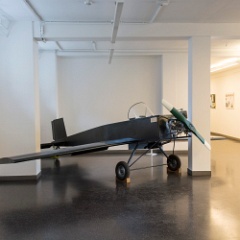 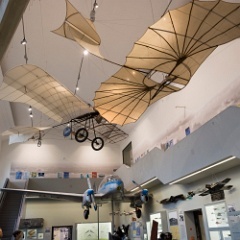 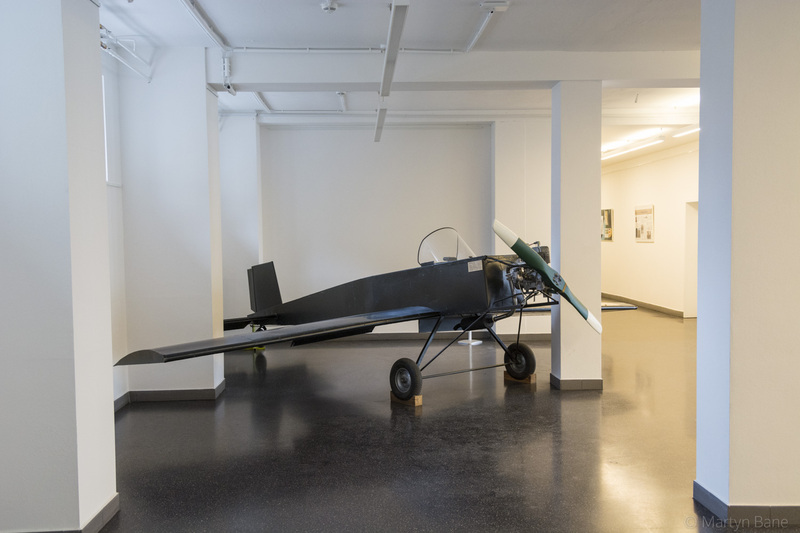 75 A homemade plane, built by Michael Schlosser, which was to have been used to escape from East Germany but he was arrested before he was able to attempt his escape. 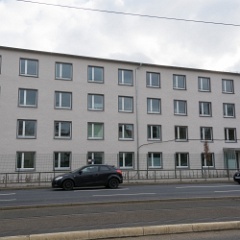 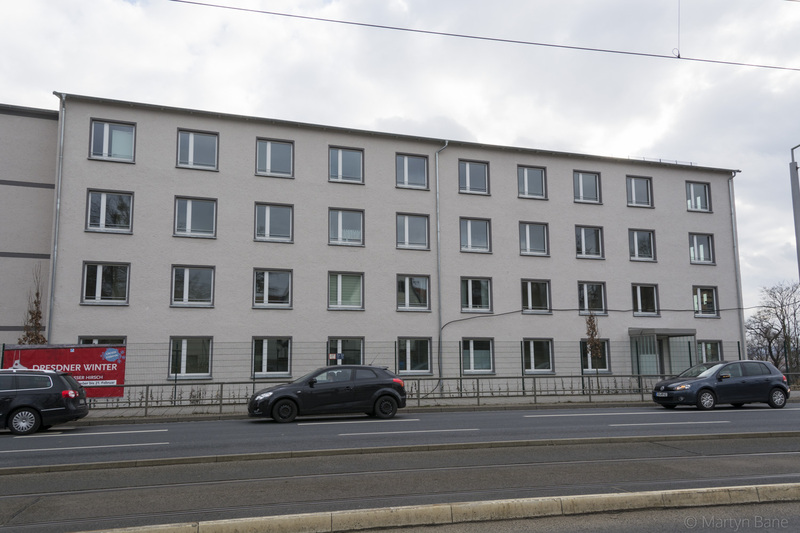 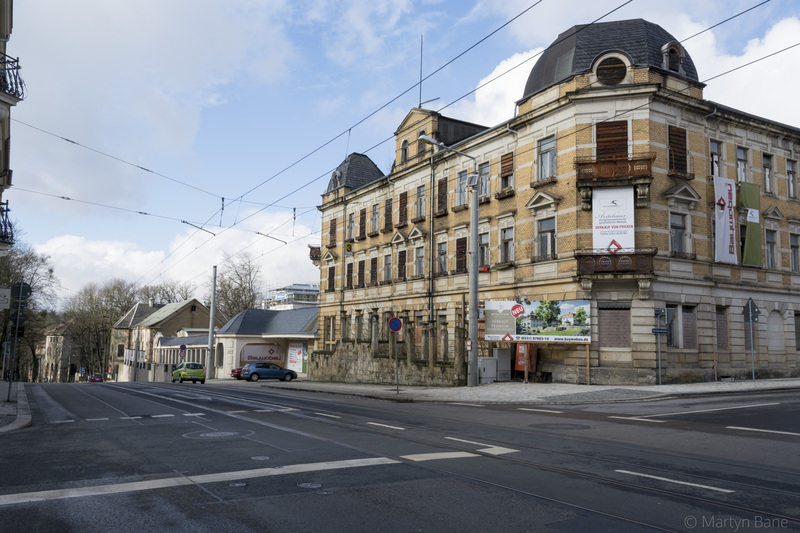 76 A section of the former Stasi jail was being coverted into flats, soon to be available. 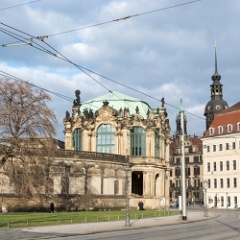 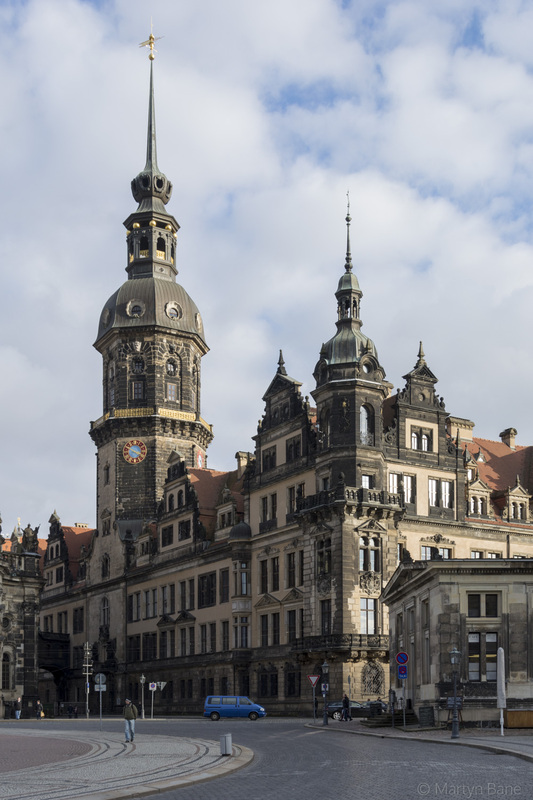 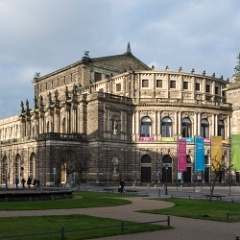 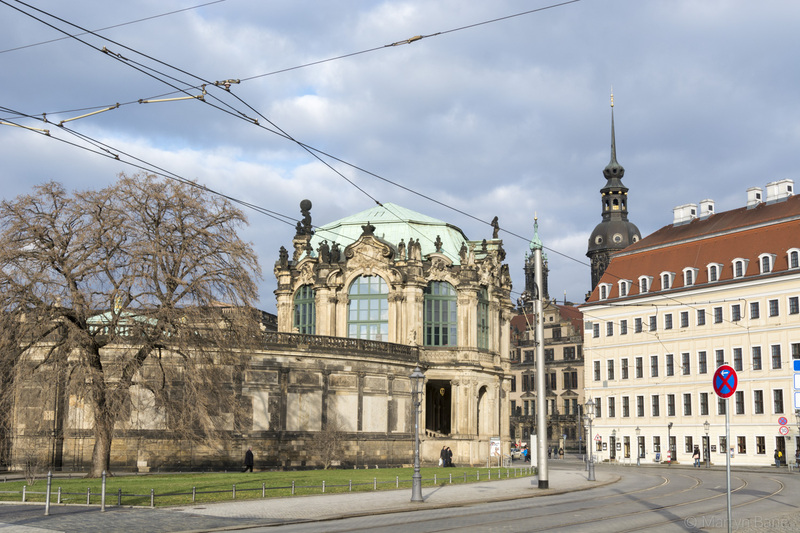 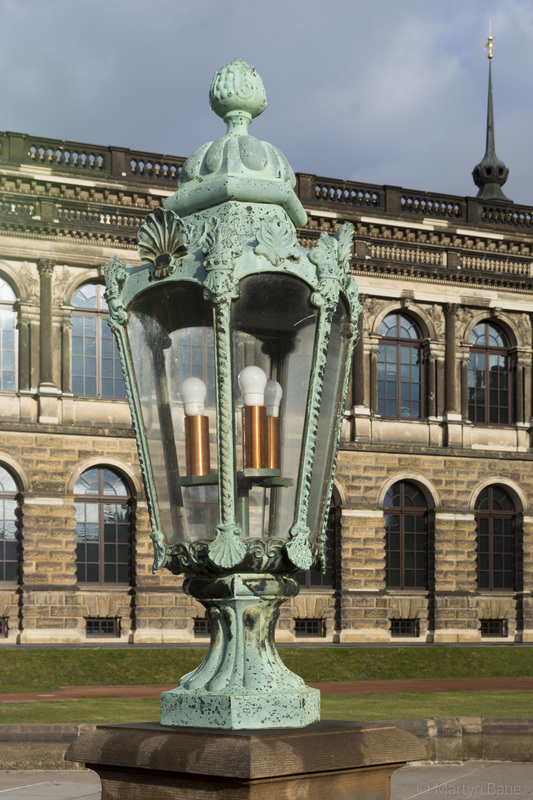 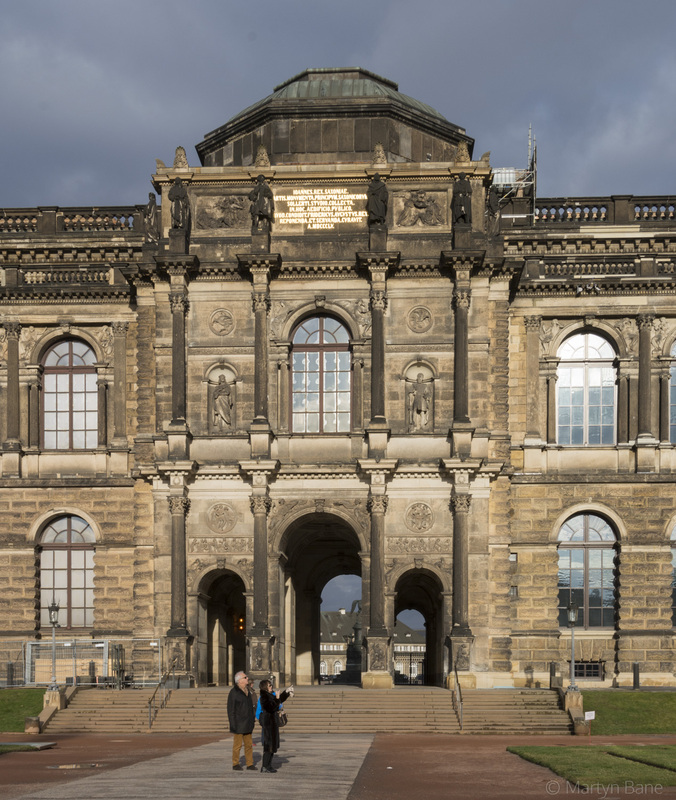 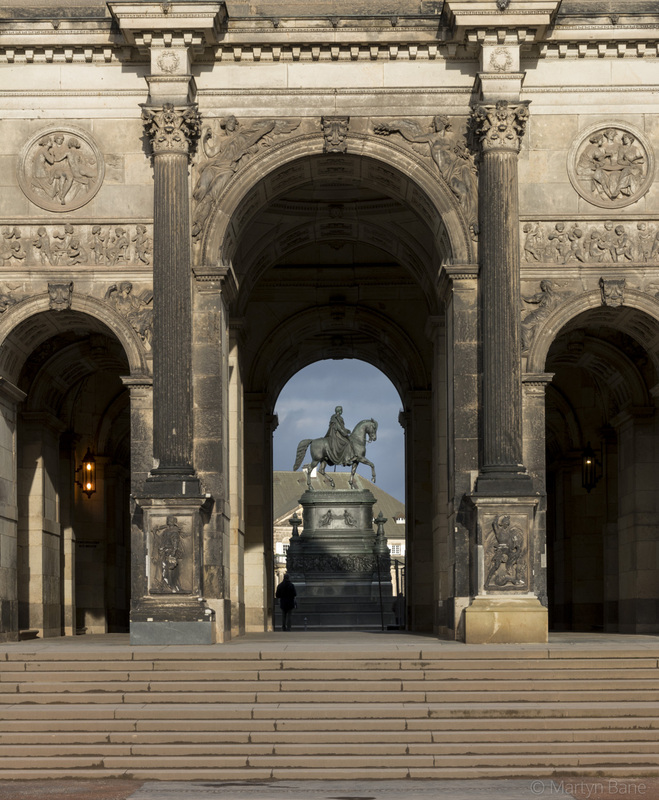 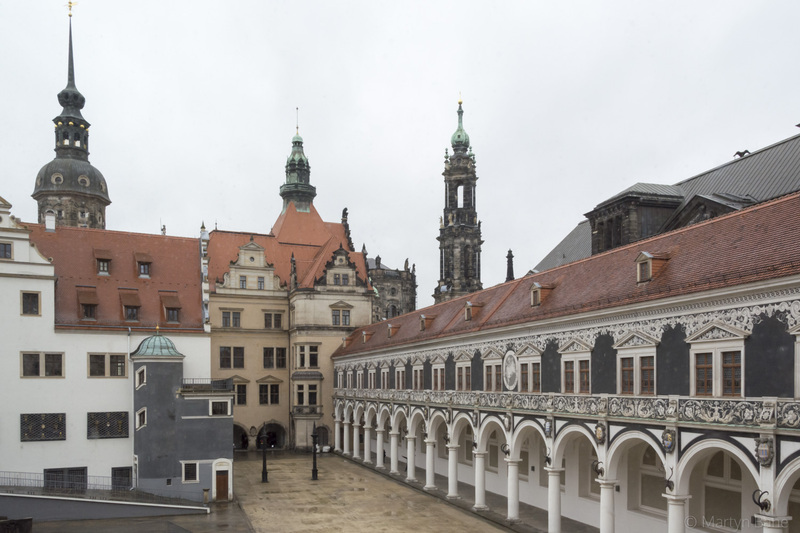 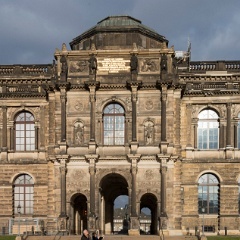 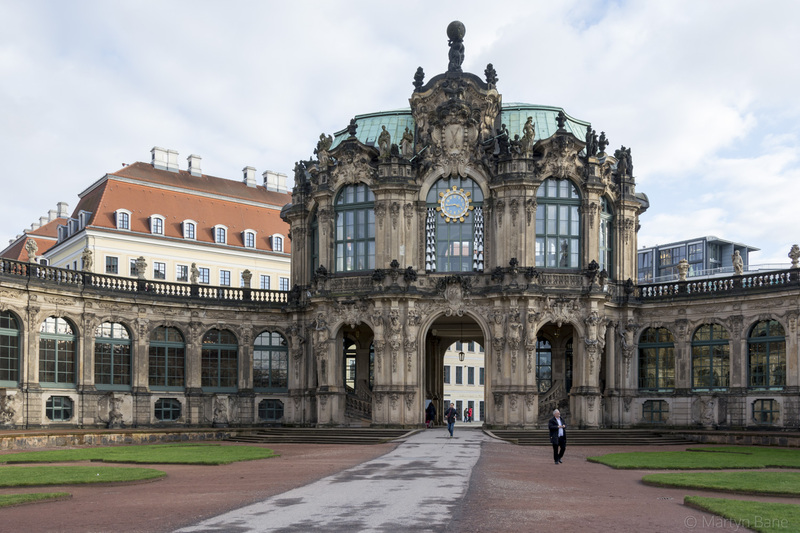 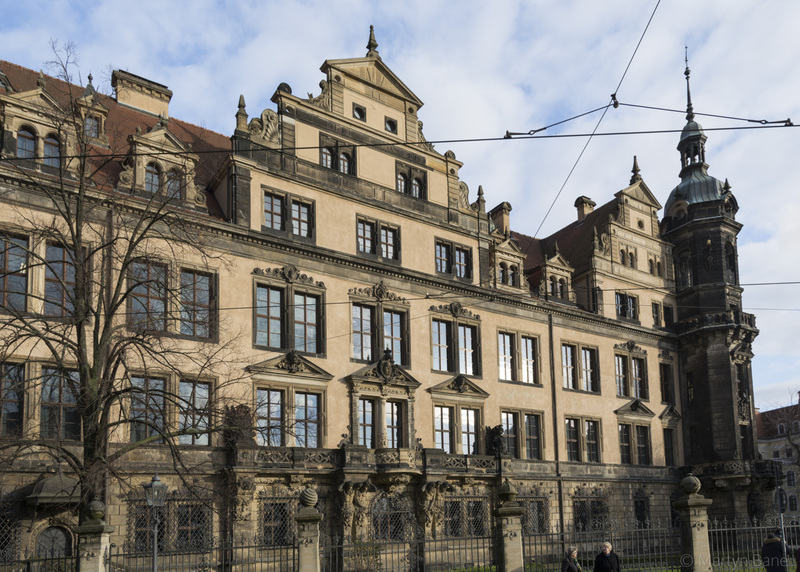 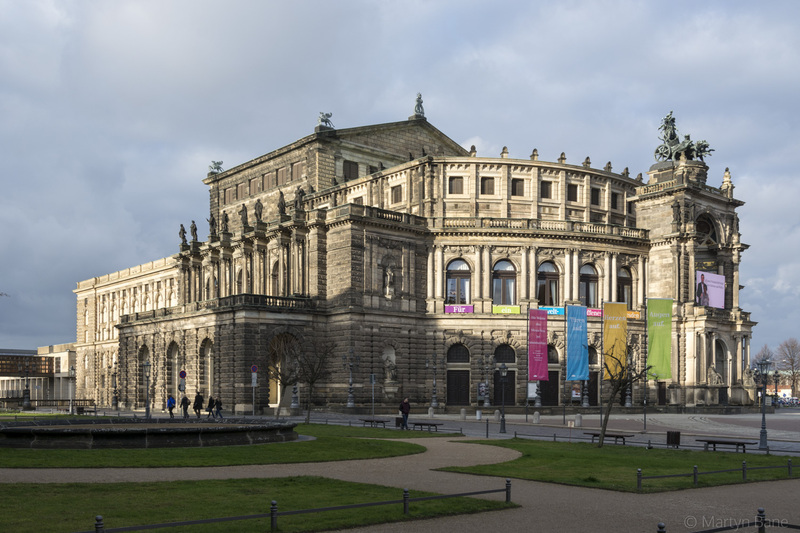 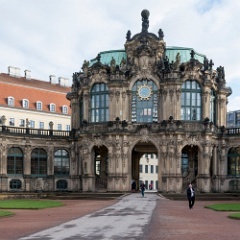 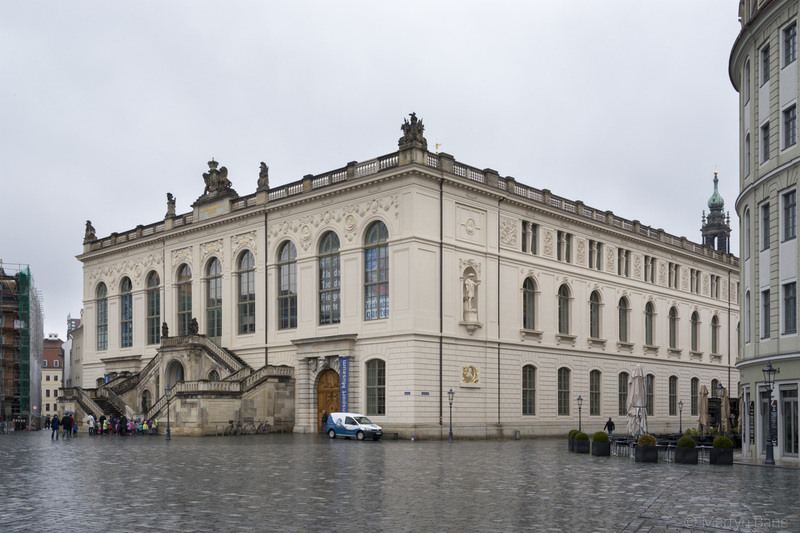 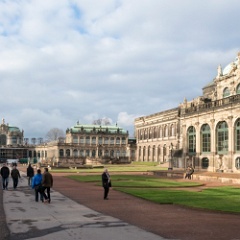 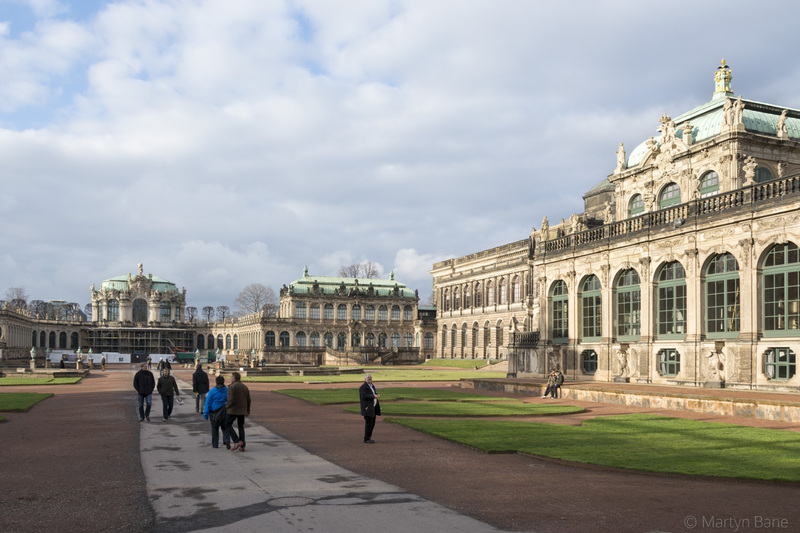 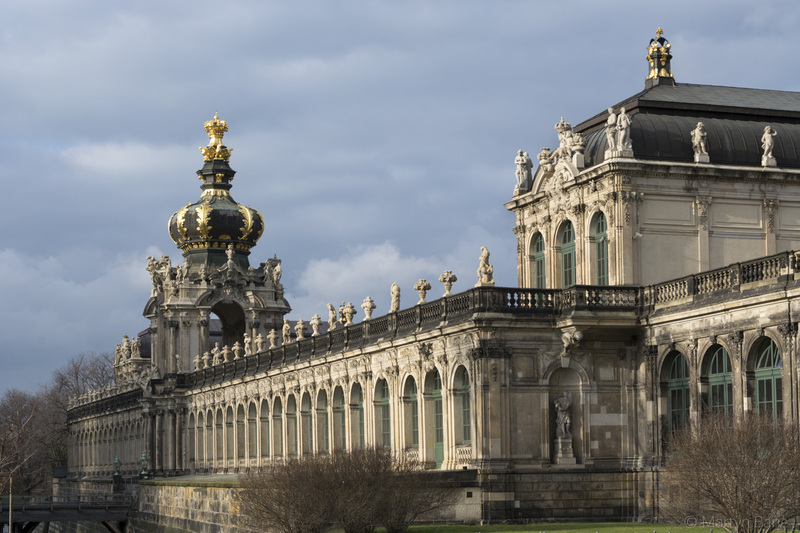 77 The Zwinger, the former royal palace in Dresden. 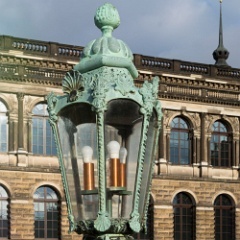 82 Old light but with modern bulbs. 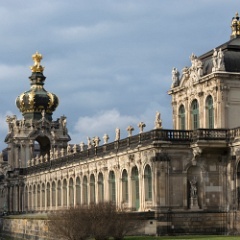 83 Part of the Zwinger. 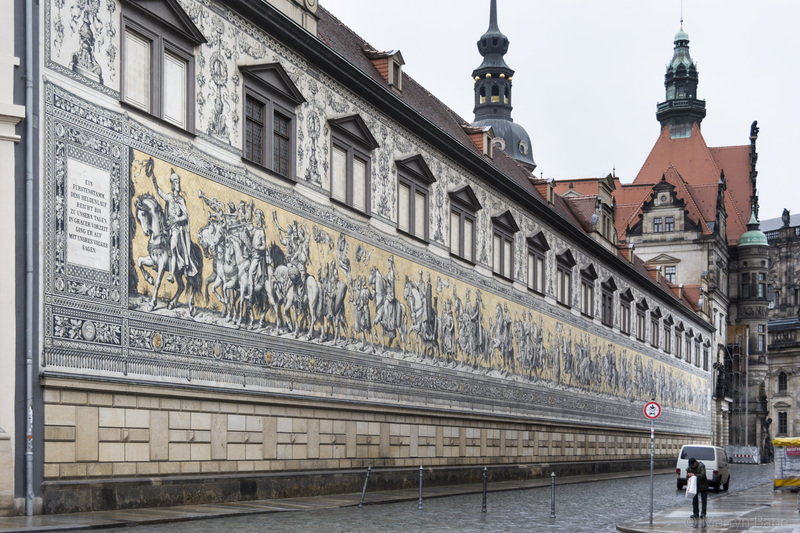 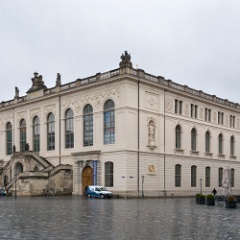 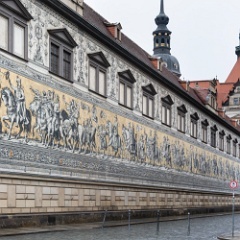 84 Man on horse outside the Zwinger. 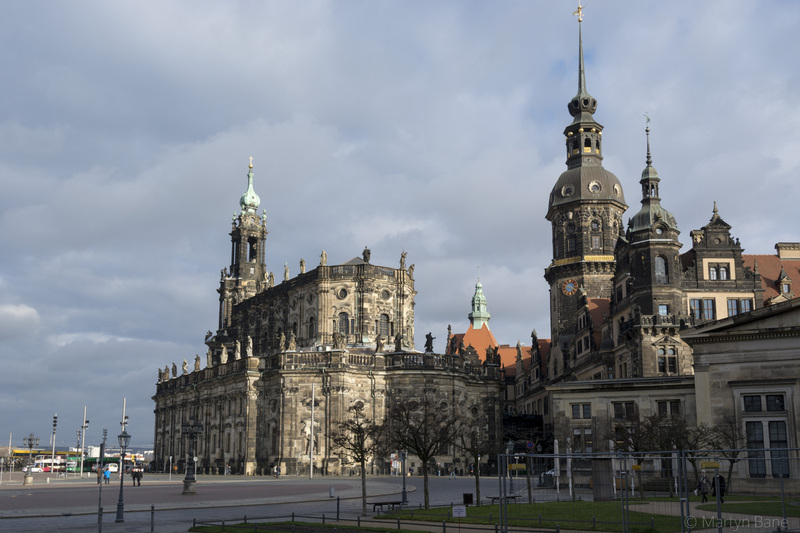 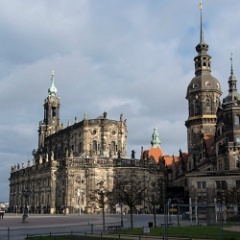 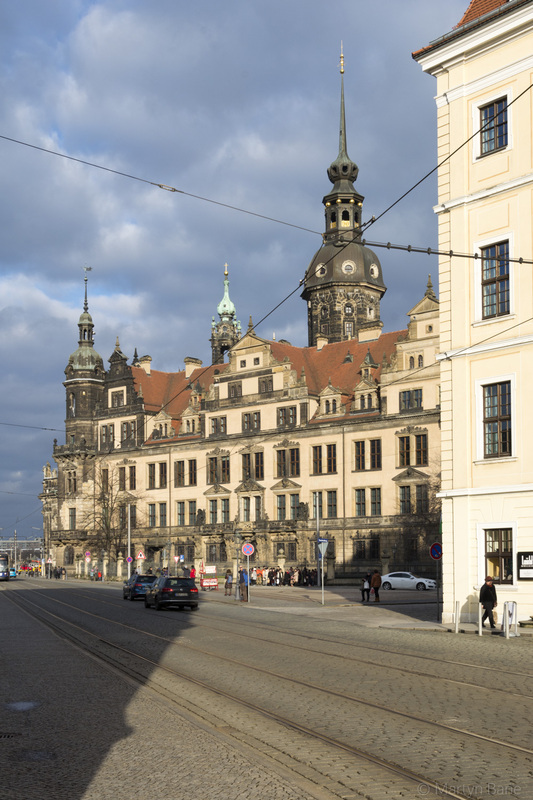 85 Dresden's Catholic Catherdral on the left. 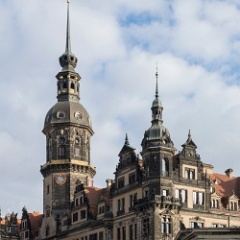 88 One side of Dresden Castle.